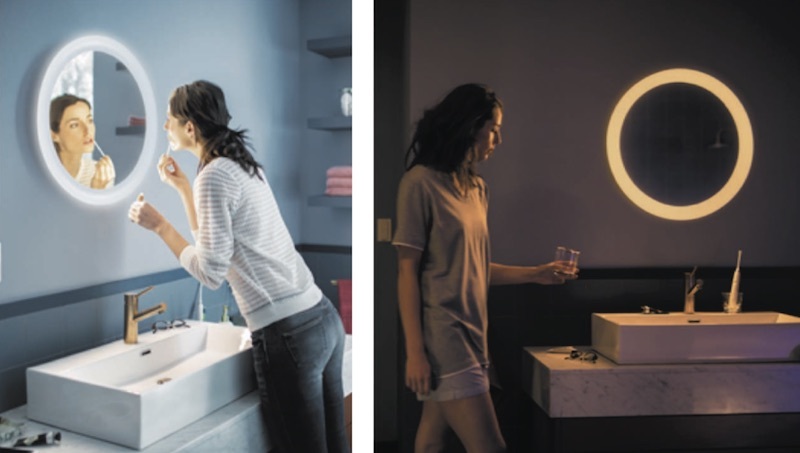 Over the summer, a few new and upcoming Philips Hue light fixtures leaked online, including an Outdoor Light Strip and White Ambience Adore Vanity Mirror. This week, the company has announced prices and confirmed an August 20 launch date for most of these products, as well as revealed a collection of new Hue lights. As usual, all of the new Hue lights are compatible with Apple’s HomeKit platform. To start off, the previously seen Outdoor Lightstrip is designed specifically for all-weather use with a diffused coating that ensures the Lightstrip can be used as both a direct or indirect light source. Users can easily bend and shape the Lightstrip for all yard designs, or apply it to fences and railways using included clips and screws. The White and Color Ambiance Outdoor Lightstrip will cost $159.99 in a 16 ft. model and $89.99 in a 7 ft. model. Pre-orders will go up on August 20, and then the product will launch in early October. The White Ambiance Adore Collection consists of the Adore Vanity Mirror and a flushmount ceiling fixture, which are both Damp rated to ensure bathroom moisture won’t degrade them over time. 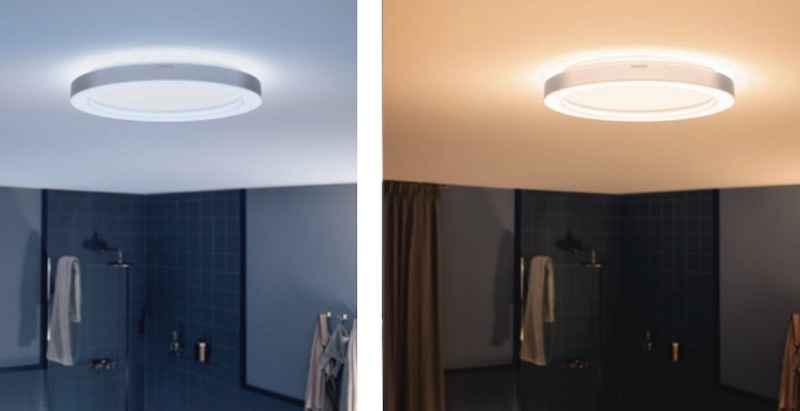 Each Adore light includes a ringed outer-edge area that “prevents unwanted shadows” from appearing in a bathroom, with four pre-set light recipes for morning and nighttime routines. The Adore Vanity Mirror will cost $249.99 and the flushmount Adore Ceiling Light will cost $179.99, and both will be available starting August 20. 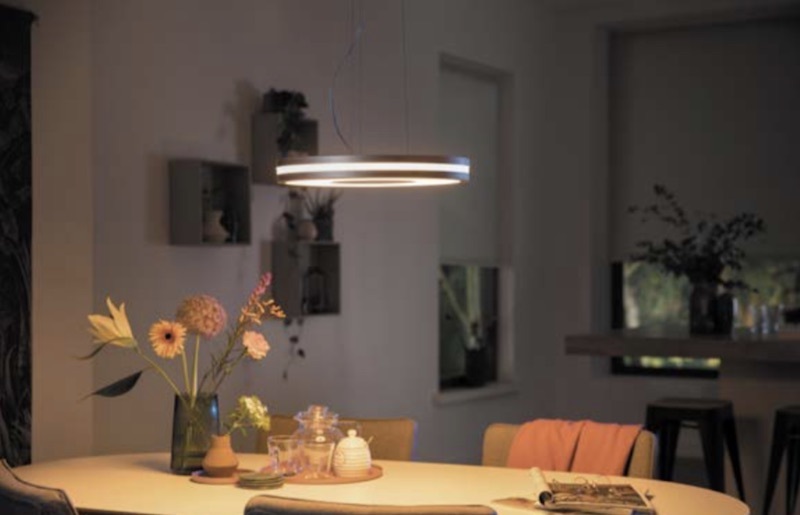 A new kitchen and dining area light has also been announced in the form of the White Ambiance Being Pendant. This fixture is a brushed aluminum light that complements the company’s existing Being flush ceiling fixture and aims to give users the “right shade of white light” for dinners and relaxing. The Being Pendant will run for $249.99 and launches on August 20. Also aimed at kitchen use is the White and Color Ambiance Enchant Pendant Light, a slim hanging fixture that the company says is designed to place over a kitchen or dining table, island, or bar. The light includes one Philips Hue White and Color Ambiance A19 bulb. The Enchant Pendant Light will be priced at $99.99 and also launches on August 20. Lastly, the White and Color Ambiance Ascend Collection includes a Pendant Light, Floor Light, Wall Light, and Table Lamp, all designed for everyday lightning needs. Each fixture has a 360-degree open glass design for optimal light output, and the floor, wall, and table lamps have a movable head so you can point the light directly where you need it. The Floor Lamp and Pendant Lamp come with a White and Color Ambiance A19 bulb, and the Wall Light and Table Lamp include a White and Color Ambiance E12 candle bulb. The prices on the Ascend Collection are as follows: $99.99 (Wall Light), $129.99 (Table Lamp), $149.99 (Pendant Light), and $179.99 (Floor Lamp). Every fixture in the Ascend Collection launches in early October. On the software side of things, Philips Hue has received a few updates over the past few months for both its iOS and macOS apps. In May, the company debuted a revamped 3.0 update to the iOS app, bringing improved navigation, brightness controls and light visualization for individual lights and not just grouped-together rooms, and new color pickers for a better overview and grouping of lights in a room. A few days later, the company launched a “Philips Hue Sync” macOS and PC app, allowing users to sync their Hue lights to any film, song, and game that they have on their computer. For the new lights, it appears that some have yet to propagate on the company’s website, but they should all begin appearing within the next few days, ahead of the launch/pre-order date on August 20. Apple Music this week began rolling out a new section in Browse curated by Deutsche Grammophon, known as one of the biggest classical musical labels in the world. In this section, classical music fans will find featured playlists of specific composers, highlighted radio stations, and all-new visual albums stocked with the “full-length performance” of select operas (via Engadget). Specifically, one of the three visual albums is a staging of composer Charles-François Gounod’s Roméo et Juliette, which was held at the 2008 Salzburg Music and Drama Festival. The visual album includes 32 tracks, which can be played all at once and runs for 2 hours and 33 minutes. The other operatic visual albums were also staged during the Salzburg Festival, including a Mozart Gala from 2006 and Giacomo Puccini’s La bohème opera from 2012, staged at the Grosses Festspielhaus opera house. Of course, Apple Music has launched non-opera visual albums in the past, including Frank Ocean’s Endless, but as Engadget notes this is the first time the service has debuted a full-length opera as a visual album. Deutsche Grammophon has been home to the world’s greatest musicians ever since gramophone inventor Emile Berliner founded the label in 1898. For decades, legendary conductor Herbert von Karajan epitomized the style and elegance of The Yellow Label – so called for its striking cartouche emblem. Claudio Abbado and Leonard Bernstein joined him, and now Andris Nelsons and Yannick Nézet-Séguin continue DG’s tradition of working with the finest conductors. Among pianists, Daniil Trifonov follows where Wilhelm Kempff and Maurizio Pollini led, while the current roster also stars violinist Anne-Sophie Mutter and soprano Anna Netrebko. Enjoy the best of these artists and more with playlists, albums, and videos. According to Deutsche Grammophon, its new Apple Music section will be “regularly updated,” so fans of classical music can expect to see more of the label’s recordings and potentially more visual albums in the future. Apple Music has seen a few slight updates over the summer, beginning with a new “Coming Soon” section for all users that highlights albums launching in the near future. Earlier this week, the service also began rolling out a “Friends Mix” weekly playlist, which curates a list of 25 songs that your friends have been listening to recently. 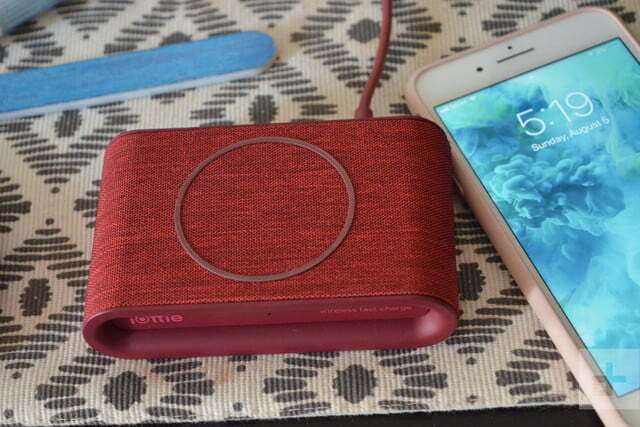 Mophie vs. Belkin vs. Anker vs. iOttie: Who has the best wireless charging pad? The iPhone 8, iPhone 8 Plus, and iPhone X are the first Apple devices ever to feature wireless charging, and now with an influx of wireless charging pads on the market, which one do you pick? We’ve tried out four of the top wireless charging pads with an iPhone 8 Plus to narrow things down. 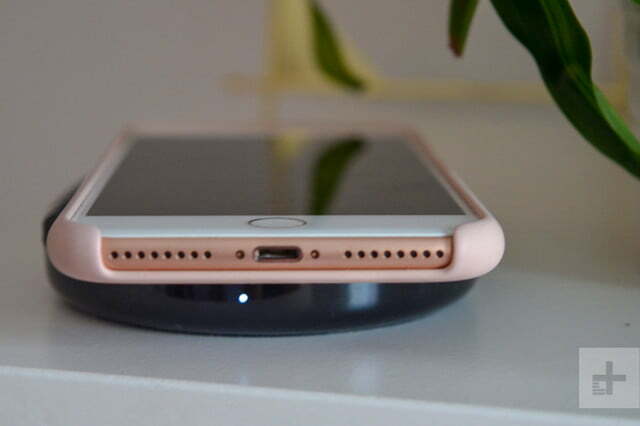 Back in October, we tested three top wireless charging pads with 7.5-watt output and support for the Qi standard on the iPhone 8 — which at time, could only accept 5 watts of power. Apple has since released the ability for its iPhone devices to accept 7.5 watts, which should speed up the time it takes to top up the battery. 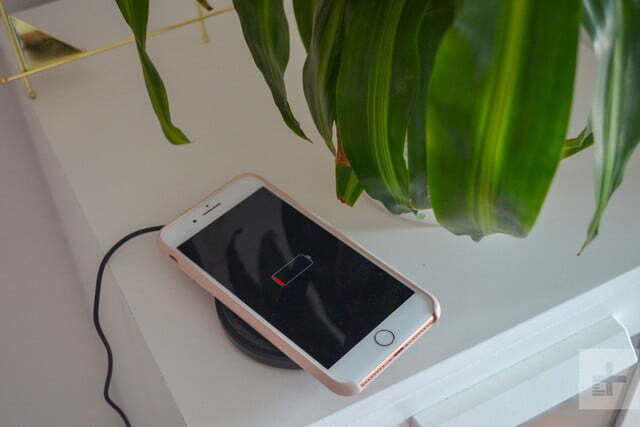 This time around, not only do all four of the wireless chargers output 7.5 watts (at the least), but the iPhone 8 Plus we’re testing them with can accept it. 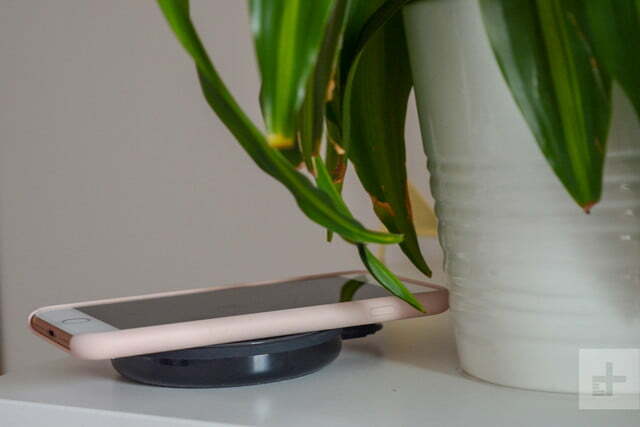 Some wireless charging pads are capable of pushing out 10 watts or more, but that doesn’t mean your iPhone will charge any quicker. For each charger, we used the respective wall adapter and a wall outlet as a power source. We also completely drained the iPhone 8 Plus’ battery each time we placed it on the pad. 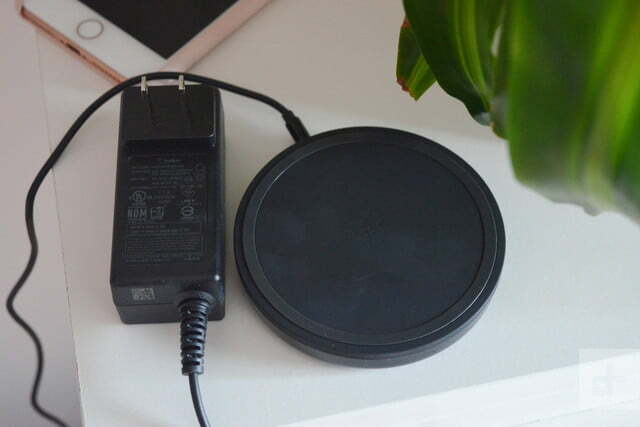 Of the four wireless charging pads mentioned below, both Mophie and Belkin said they worked closely with Apple to create them. The winner in our current test should also charge the iPhone 8 and iPhone X the fastest as well. Check out our best wireless phone chargers guide for more alternatives, but first, let’s see who came out on top in our test. On the outside, the Mophie charge stream pad+ looks identical to the company’s wireless charging base we tested previously — aside from the fact that it’s slightly bigger and heavier. Under the hood, the charge stream pad+ supports up to 10 watts for Android devices that can accept it, but the iPhone 8 Plus will only accept 7.5 watts. 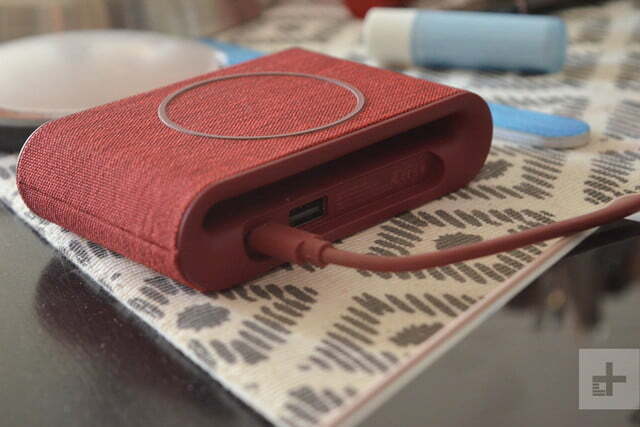 On the outside, the charge stream pad+ is a puck-shaped charger with a rubberized finish. It doesn’t take up much room on a desk, and the thermoplastic polyurethane (TPU) coating keeps the iPhone from sliding off the charger, and it won’t damage the glass back. But beware, the silicone material is a magnet for dust. 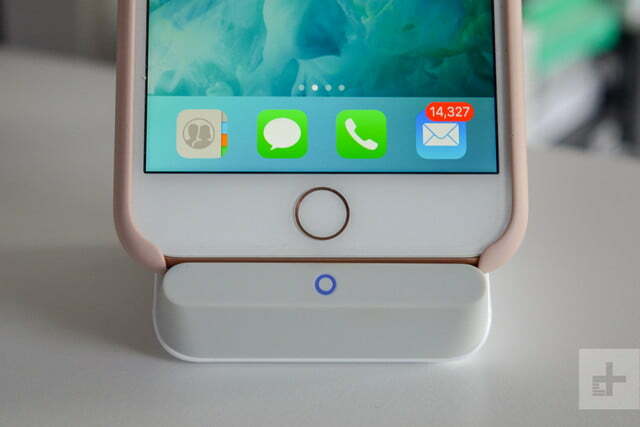 On the edges of the bottom, there’s an LED light to indicate the device is charging, though it’s a little tough to see because it’s so low. We started charging the dead iPhone 8 Plus at 12:40 p.m., and after about two minutes it powered up at three percent. By 2 p.n., the phone hit 50 percent, and then reached 100 percent around 4:45 p.m. It took about four hours to fully charge the iPhone 8 Plus. 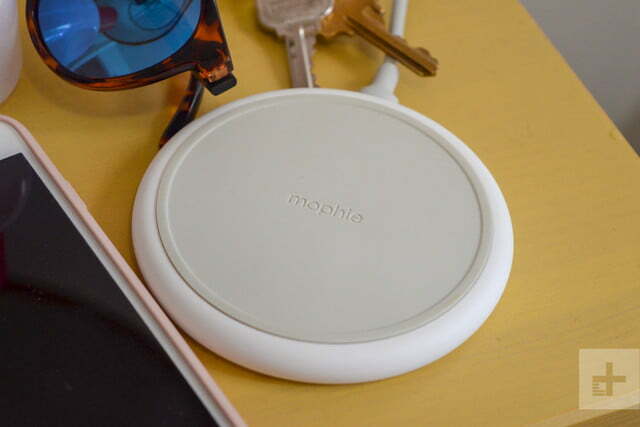 Mophie said the charge stream pad+ also includes fail-safe circuitry, which prevents devices from overcharging after the battery capacity is fully charged. 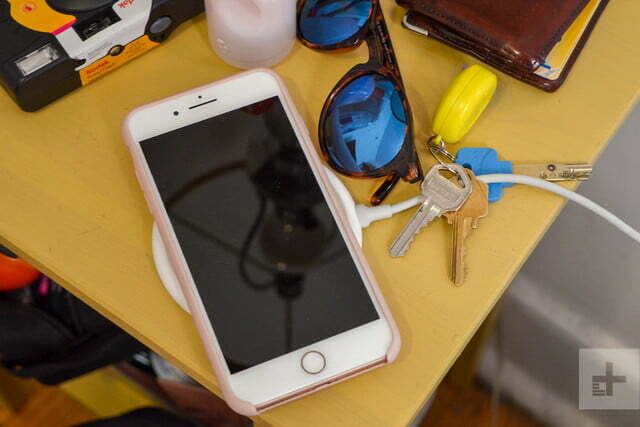 The charger also controls temperature to prevent the phone from overheating. You can charge an iPhone with a case on, but only if it’s no thicker than 3 millimeters. 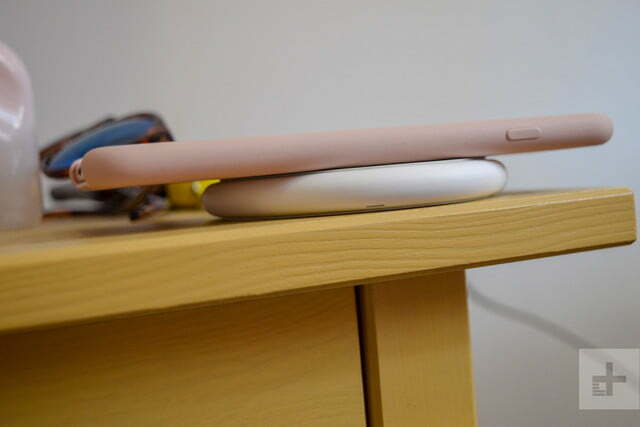 Last year’s version of the Belkin BoostUp Wireless Charging Pad was the largest we tested. The latest model is significantly smaller, with a sleeker design than its predecessor, though we’re not fans of the extremely bulky wall adapter. Like the Mophie, the Belkin BoostUp has a non-slip surface on both the top and bottom and has a plastic lining surrounding the outer sides. It didn’t attract as much dust as the Mophie, but you still may need to wipe it down now and then. There’s also an LED indicator on the front rather than towards the bottom, so it’s easy to spot at a glance. We started charging our iPhone 8 Plus at 10:40 a.m. from zero percent and reached a little over 50 percent by 11:54 a.m. In total, the Belkin took about 3 hours to fully charge. Belkin also sells a similar version of this charger as a kickstand, so you can keep your smartphone propped up. 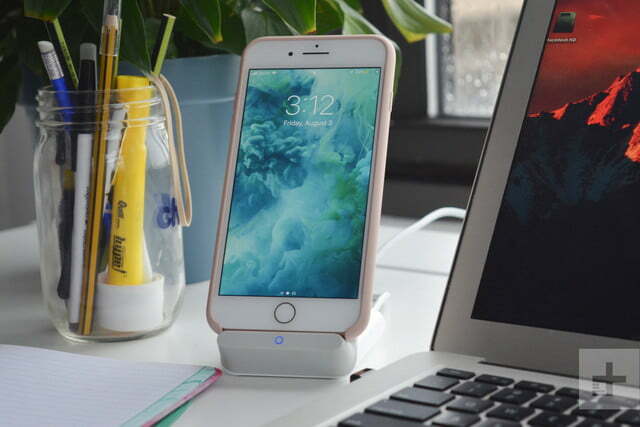 The Anker PowerWave is the only wireless charging stand we tested in this group, but it does come as a charging pad as well (which retails for $60). The stand looks a bit futuristic, especially with the metallic branding set against a white, rubberized coating, and the circular LED light on the front. The bottom of the charger also has rubber padding, which keeps it from slipping and sliding across the desk. While charging our device, we liked the ability to easily access and see our screen without needing to take it off the charger. It also still charges regardless of the phone’s orientation — placing it horizontally or vertically works. Since it’s not laying flat, the TPU coating doesn’t attract as much dirt and dust as the Mophie and Belkin chargers; but like the Belkin, the adapter on the PowerWave Stand is also extremely bulky. Anker took the least amount of time to charge the iPhone 8 Plus completely. We started at 12:04 p.m. with a drained battery and reached 50 percent by 1:18 p.m. By 2:50 p.m., the 8 Plus was at 100 percent — which only took about two hours and 45 minutes overall. 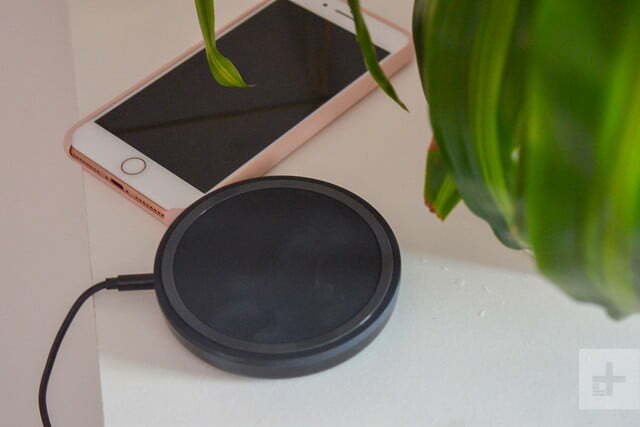 Among the four wireless chargers, Anker is the only one that comes with a Quick Charge 3.0 wall charger which increases the charging voltage. 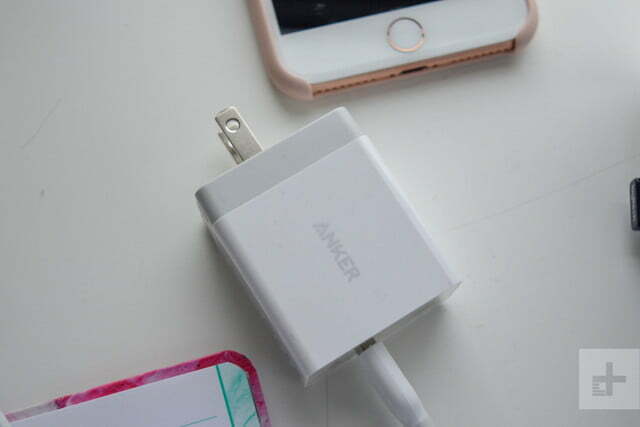 According to Anker’s site, the high-speed charging is also due to its internal cooling fan within the coils. This reportedly prevents the charger from overheating and slowing down, allowing it to quickly charge a smartphone without any interruption. 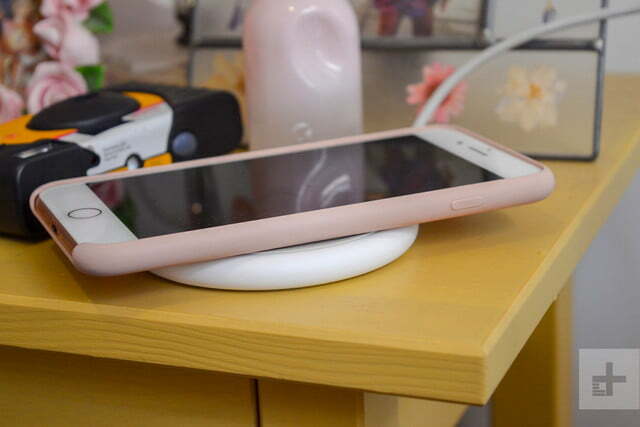 The iOttie iON Wireless Fast Charging Pad Plus is our favorite in terms of design. 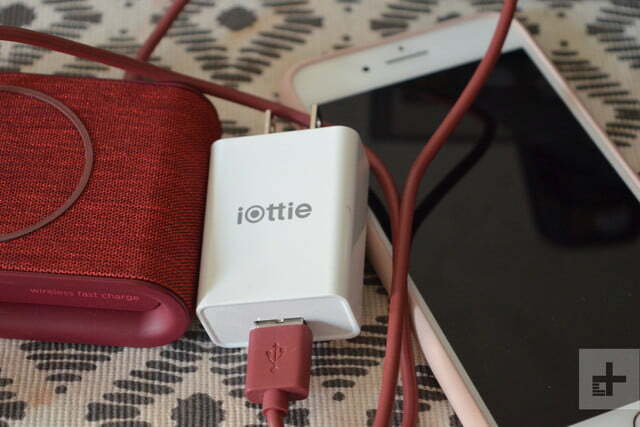 Rather than the rubber and plastic combination that’s typical with wireless charging pads, the iOttie has a fabric wrap finish. It looks good whether it’s on a desk, night stand, or kitchen counter. There are three stylish color options to choose from — ash, ivory, and ruby. 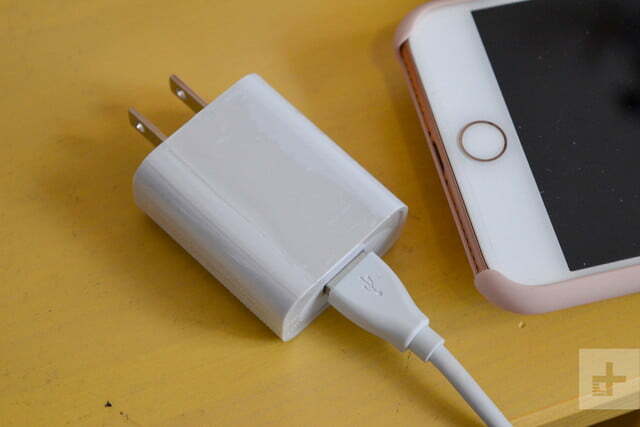 On the bottom of the charger, there are four small silicone pads to keep it steady. On top is a silicone ring to keep the iPhone from sliding off, and it blends nicely into the fabric. 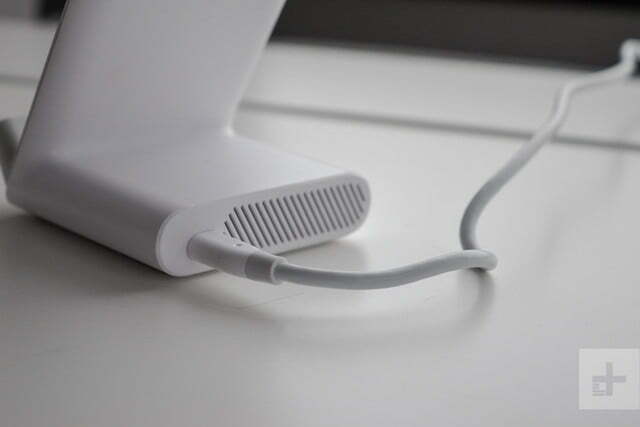 On the front is a LED light indicator to let you know when the device is charging (which blinks red when it detects the device is placed incorrectly on the charger), along with a USB-A port to charge an additional device on the back. 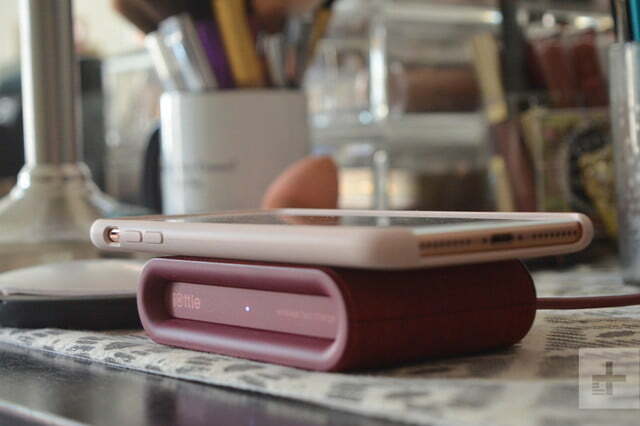 At 3.7 ounces, it’s the lightest wireless charging pad we tested out of the four. We started charging the iPhone 8 Plus at 2:02 p.m. and by about 3:20 p.m., it was at about 50 percent. 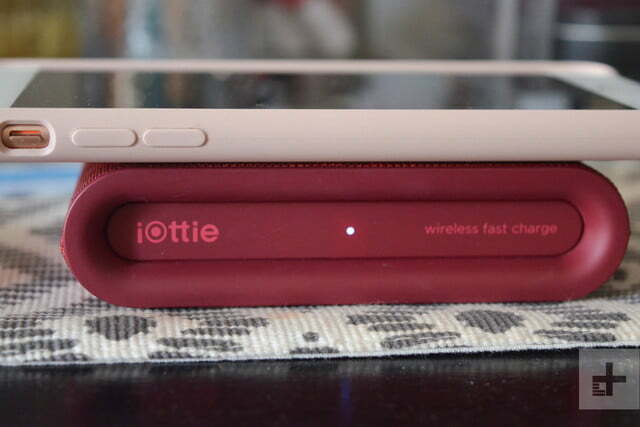 In total, the iOttie took close to four hours and 2 minutes to charge — only a few minutes faster than the Mophie. We preferred the square shape when placing our phone down on the pad, because it made it easier to align without having to pay too much attention on whether the device is charging. Of all four wireless chargers, the Anker PowerWave 7.5 was our favorite. It includes all the same features as the Mophie, Belkin, and iOttie — a non-slip coating, a LED light indicator, and fail-safe circuitry to protect the device. To add to that, it also charges the quickest by a large margin, and it looks stylish. It’s the most expensive on the list, but you’re only shelling out about $10 more than you would for the others. The Anker PowerWave 7.5 can be purchased on Anker’s site, and all of these charging pads are available for purchase now. Apple HomePod vs. Amazon Echo vs. Google Home: Which is best? 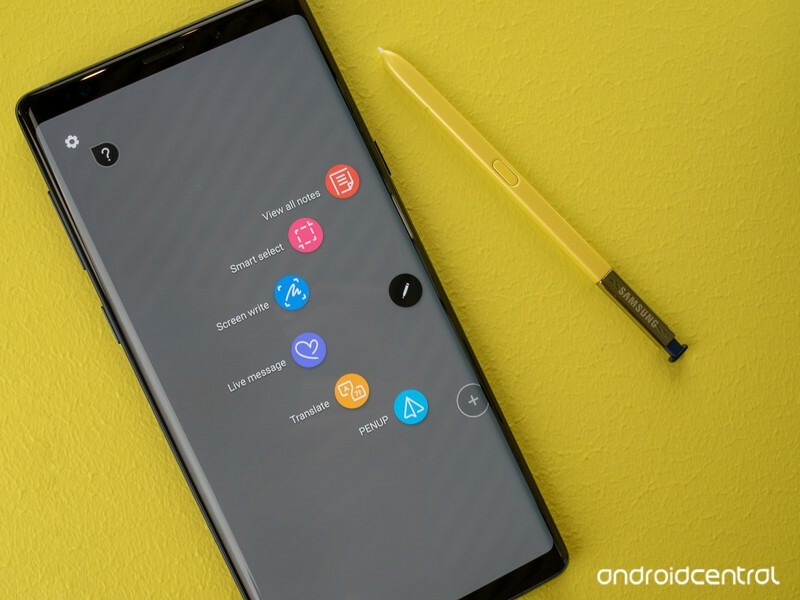 Samsung announced its newest flagship, the Samsung Galaxy Note 9, in early August. It packs stunning specs along with an all-new S Pen, making it easier than ever to stay productive on the go. But how does the Samsung Galaxy Note 9 compare to Google’s Pixel 2 XL? We put the two phones to the test to find out. When it comes to performance, both the Samsung Galaxy Note 9 and Pixel 2 XL are workhorses. That said, since the Note 9 was released nearly a year after we first got our hands on the Pixel 2 XL, it definitely has improved specs. You’ll find a more powerful Snapdragon 845 processor along with either 6GB or 8GB of RAM in the Note 9, compared to a Snapdragon 835 processor with just 4GB of RAM in the Pixel 2 XL. The Galaxy Note 9 also has the edge when it comes to battery capacity and charging. You’ll find a massive 4,000mAh battery in the Note 9 — enough to get even the most demanding user through a full day. The Pixel 2 XL has a 3,520mAh battery capacity that is plenty for the average person, but may leave power users frantically searching for a charger by the end of the day. And while both phones feature quick charging, only the Samsung Galaxy Note 9 has wireless charging capabilities. The Samsung Galaxy Note 9 is the clear winner for this round. It’s not just the updated specs that make it a clear winner, but the 4,000mAh battery and wireless charging capability as well. The Samsung Galaxy Note 9 looks incredibly similar to its predecessor: It has a glass sandwich design with a near bezel-less display. The Pixel 2 XL, on the other hand, looks much more utilitarian with its aluminum back and chunky display bezels. While aesthetics is largely subjective, we’d venture to say most people would prefer the refined design of the Note 9 as opposed to its competitor, but it is taller, thicker, and heavier than the Pixel 2 XL. When it comes to durability, the competition is much closer. While we think the Pixel 2 XL would fare better in the event of a drop and should do fine with an accidental dunk in water, the Note 9 has a higher IP68 rating meaning it can handle slightly deeper water, up to 1.5 meters, for half an hour without damage. Both phones employ Gorilla Glass 5 which should able to handle an accidental tumble (though we definitely recommend a case for your phone). This round is a really close call, but we’re giving the win to the Samsung Galaxy Note 9. In addition to being a more refined design overall, the phone boasts slightly better water resistance. While great internal specs are crucial, you can’t overlook display quality when comparing phones. Luckily both the Samsung Galaxy Note 9 and Pixel 2 XL have gorgeous OLED displays that offer excellent color accuracy. On the Note 9, you’ll find a 6.4-inch display with a 2960 x 1440-pixel resolution which translates to 516 pixels per inch (PPI). The Pixel 2 XL has a slightly smaller 6-inch display with a 2880 x 1440-pixel resolution which makes for a slightly sharper 538 PPI. 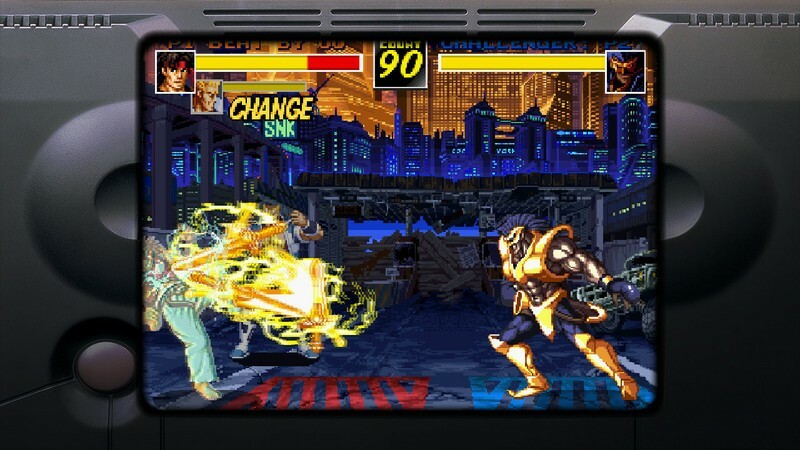 Thanks to the extra screen real estate and Samsung’s more mature Super AMOLED tech, we’re giving this one to the Note 9. Since its release in 2017, one of the most talked about features on the Pixel 2 XL is its camera. 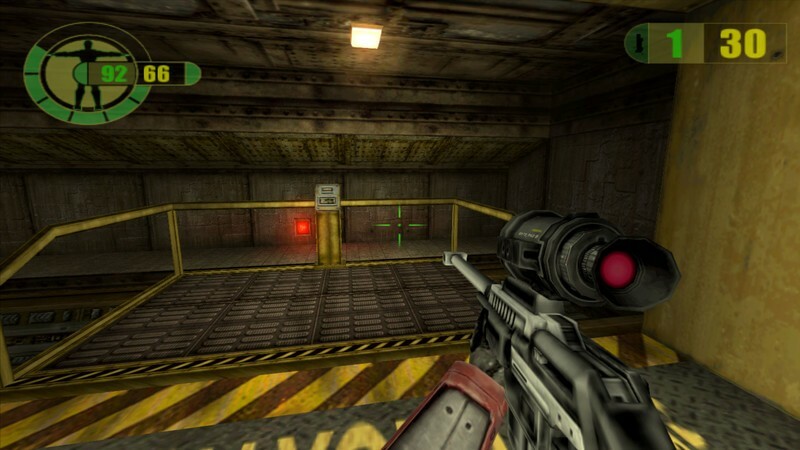 So how does the Samsung Galaxy Note 9 compare to one of our favorite shooters? Surprisingly well! On the Note 9, you’ll find a dual camera module with 12-megapixel sensors, both with Optical Image Stabilization (OIS). The Note 9 also has a variable aperture that can switch from f/2.4 to a much wider f/1.5 for beautiful low-light photos. It boasts support for 2x optical zoom and can record video at a higher frame rate than the Pixel 2 XL. There’s also a new A.I. feature, exclusive to the Note 9, that uses scene detection to adjust color, white balance, and other settings. Samsung even added a flaw detection feature that will alert you if someone has closed their eyes when a photo is taken. The Pixel 2 XL, on the other hand, packs a single 12.2-megapixel sensor with OIS. The aperture is f/1.8, which should do well in most scenarios, though some detail may be lost in low-light photos. While the Pixel Visual Core processor and Google’s camera software can create stunning photos, it still lacks A.I. scene detection and other advanced features that are becoming more common on high-end smartphones. It’s was a hard choice, but we’re calling this round for the Samsung Galaxy Note 9. While the Pixel 2 XL has one of the best smartphone cameras we’ve ever seen, the Note 9 is much more versatile. Looking for the latest version of Android? Well, if you’re using the Samsung Galaxy Note 9, you’re going to have to wait a while. However, Pixel 2 XL users are already enjoying all the new benefits of Android 9.0 Pie. In addition to getting the first stab at Android Pie, the Pixel 2 XL gets more frequent security and feature updates in general and will get future Android updates as soon as they’re released. If you’re a seasoned Samsung user, you’ll know the smartphone giant can be slow to update at times. In this round, the Pixel 2 XL shines. Not only does it have the latest version of Android, it gets more frequent updates overall. And while the Samsung Experience UI has improved vastly, we definitely still prefer stock Android. When it comes to special features, the Samsung Galaxy Note 9 has lots to offer. 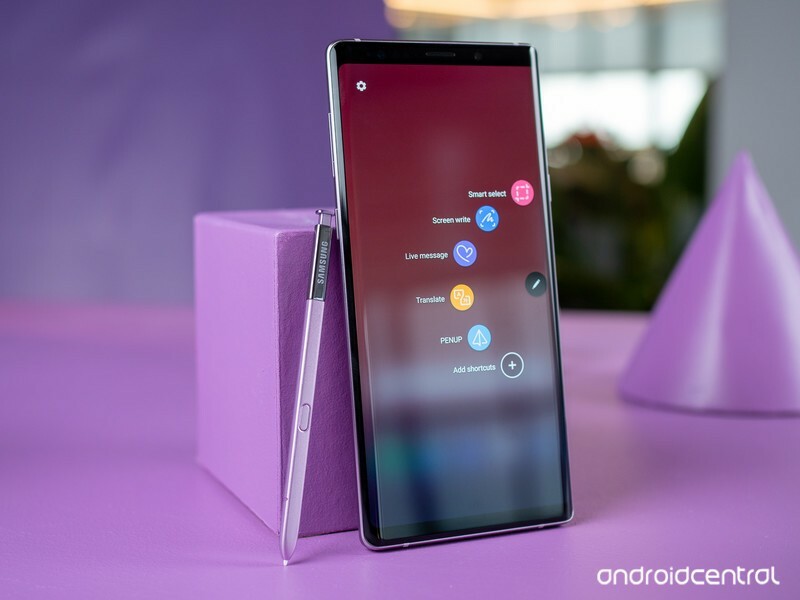 It features a Bluetooth-powered S Pen that can control the phone remotely and be used to activate different features on the Note 9. There’s also DeX mode built in, meaning you can use your phone as a makeshift desktop by attaching it to a monitor. Special features are a little more sparse on the Pixel 2 XL. When it was first released, Google Lens was an exclusive feature, but it has now made its way to many Android phones. It does, however, have Active Edge, which allows you to squeeze the phone to activate Google Assistant. We’re calling this round for the Samsung Galaxy Note 9. The newly improved S Pen and built-in DeX mode make it the clear winner. Both the Samsung Galaxy Note 9 and Pixel 2 XL are flagship smartphones and carry a premium price tag. Pricing starts at a $1,000 for the Samsung Galaxy Note 9 and the 512GB variant is even more expensive at $1,250. You can pre-order now and it will hit stores on August 24 with wide availability from major carriers and retailers. The Pixel 2 XL, on the other hand, is a little more affordable. The 64GB version sells for $850, while the 128GB model comes in at $950. You can buy it right now direct from Google or with Verizon in the U.S. While we adore the Pixel 2 XL, the Samsung Galaxy Note 9 is the clear winner of this competition. For the most part, the Samsung Galaxy Note 9 beat out the Pixel 2 XL because it’s a newer phone with better hardware. We expect a better matchup when the Samsung Galaxy Note 9 faces off against the upcoming Pixel 3 XL in the coming months. How does Samsung’s S Pen work so damn well? The S Pen is part of the Galaxy Note and integrated through both hardware and software. The Galaxy Note isn’t just a big phone. It’s Samsung’s cream of the crop and always ships with the best hardware and software Samsung has to offer, and the Galaxy Note 9 looks to be no exception. The Note is the Galaxy phone for people who want it all, or as close to “it all” as they can get. Part of that — a big part for many — is the S Pen. Forget the idea that “nobody wants to use a stylus” because that’s clearly incorrect. A lot of users want to use some sort of pen on their go-to device, and we’ve seen Microsoft, Apple, and Google all offer a pen input device of some sort on their flagship devices since the Note appeared. It can be convenient for jotting down notes, or used for annotation in a presentation, or even just used for doodling and it works really well. If you’ve never used the S Pen you’ll be surprised by how well it works. And that’s the secret of its success; it works really well. if you’ve never used the S Pen you might think its like using an after-market stylus you can buy from Amazon, and you’d be dead wrong. The S Pen is super fluid and while it doesn’t feel exactly like drawing or coloring on paper, it works the same. And that’s because its completely integrated into the Galaxy Note, not just an add-on. A regular stylus you buy is a capacitive input device. The screen on your phone is made from an insulator (glass in most cases) that also serves as the hard outer surface. This insulator is coated with a clear electrical conductor. Your finger, along with a “normal” stylus, is also an electrical conductor and when you touch the screen its electrostatic field is changed. The processor and OS in your phone take this data and turns it into a tap, long-press, dragging action or whatever else you did with your finger or stylus. The S Pen is an inductive stylus. The display on the Note has what’s called an active digitizer under the glass. When the S Pen gets close to the screen, the magnetic field of the active digitizer induces a current that powers its internal circuitry. Power is passed here just like a wireless charging mat and phone that supports its work, it’s just not inducing nearly as much power. The S Pen is an inductive device and needs special hardware built into the Note display. When the S Pen is energized, the tiny circuitry inside of it does much of the work when writing or drawing. The digitizer layer in your phone has only one job — keep track of where the tip of the S Pen is. The Pen doesn’t need to touch the screen for this to happen, which is important because the touching action is what triggers the software to write or draw on the screen. The screen knows where the Pen is touching and tracks its movements and the Pen itself tells the software that it is drawing a line. The software draws the line on your screen and you see what you’re drawing or writing as it happens. This is far more accurate than a capacitive stylus could ever be. It’s why the S Pen won’t work as a stylus on any other phone — it’s not an electrical conductor. It’s also why the S Pen, or Apple Pen, or Pixel Pen, or Surface Pen, etc. work so much better than a “regular” stylus. The Note 9 adds some new functionality through the S Pen by pairing it over Bluetooth. You can use the button to snap a photo or present a slide deck or trigger whatever a developer can dream up. But this doesn’t change or interfere with the way the S Pen works to draw on the screen. It just makes it better. A capacitive stylus works on every touchscreen. They just don’t work very well. A capacitive stylus, like this one from Amazon, can be useful. I have a pair of these and use them for rough drawing or scribbling on a phone every now and then, and they can be useful when trying to select text on a phone with a small screen. 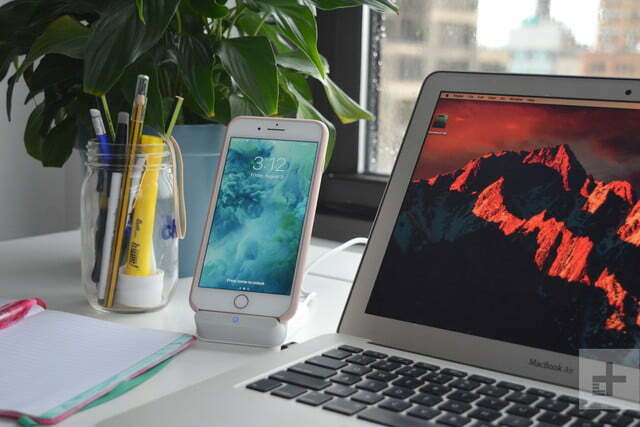 The good thing about them is that they will work on any device that has a touchscreen — even the Galaxy Note. But if you want to do any fine drawing or have a lot of writing to do, nothing comes close to a good inductive pen setup like the Galaxy Note series has. you can find capacitive styli that pair through Bluetooth to try and track movement like the S Pen does (those are called an active stylus and Android supports them in full) but they still aren’t as precise or accurate. Not by a long shot. There are other reasons to want a Galaxy Note, but if you want a good Pen experience it’s really the only phone that has one. And that’s because Samsung has made the Pen part of the phone through both hardware and software. Have you pre-ordered the Galaxy Note 9? The phone costs $999.99 for 128GB and $1249.99 for 512GB. 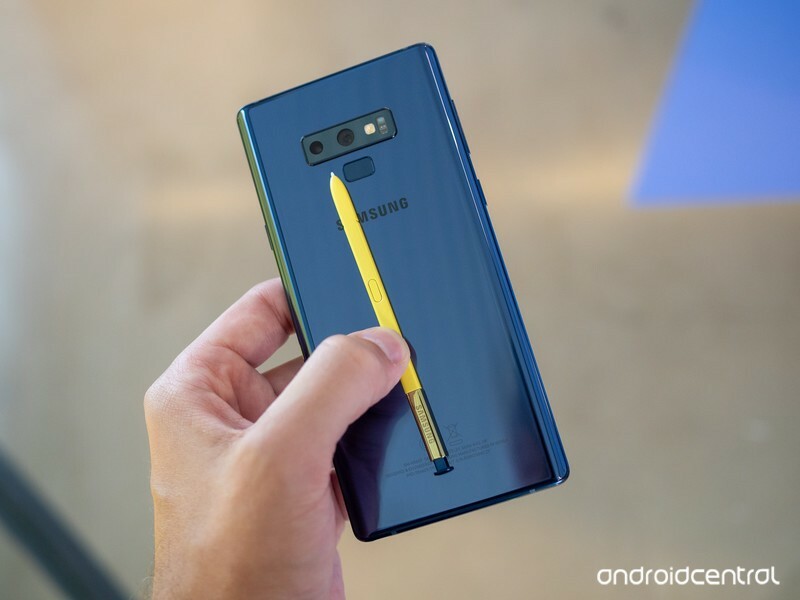 Just a few hours after it unveiled the phone at its Unpacked event, Samsung officially opened pre-orders for the Galaxy Note 9 on Friday, August 10 at 12:01 AM ET. There are a couple different configurations buyers can choose from, including the base variant with 128GB of storage and 6GB RAM that sells for $999.99 and a $1249.99 model that has 512GB of internal space and a whopping 8GB RAM. That’s a lot of money to spend on a phone, but looking through the AC forums, it would appear that those price tags haven’t held many of you back. Pre order done. Blue 128GB. Same price as last year’s black 64GB. I just received the pre-order email from Samsung. Ordered the blue 128GB. Really excited for it. Well I ordered a 128GB. I have four phones currently, Oneplus 5t, Oneplus 6, Pixel 2Xl and a Huawei P20 Pro. For me to continue with this order I need to sell my O5t, return my O6, sell my P20 Pro and use the Pixel as a trade in. I am still in my return period for the Oneplus 6, man I really like the O6 though. I just went on the app and ordered mine! 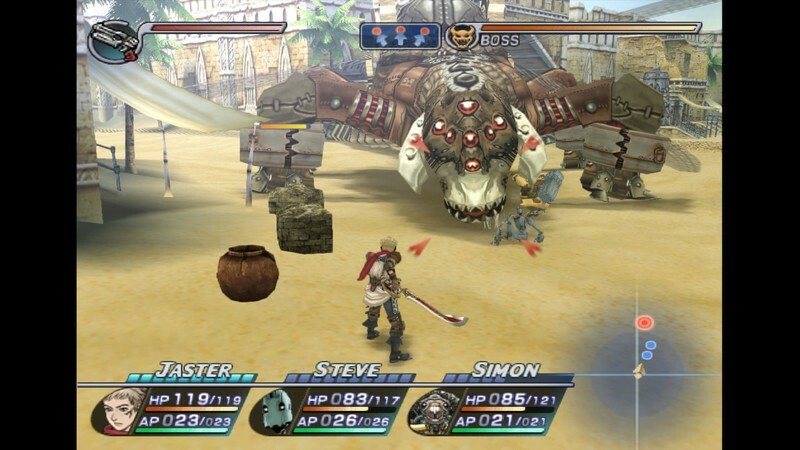 128gb version. Even with the $400 s8 plus trade in, the 8gb model is just too much for a phone and I wouldn’t even use half of the 512gb anyway. I also ordered the rugged case too. Something to hold me off until I can get a generic Defender. What about you? Have you pre-ordered the Galaxy Note 9? A total of 12 devices will be updated by March 2019. 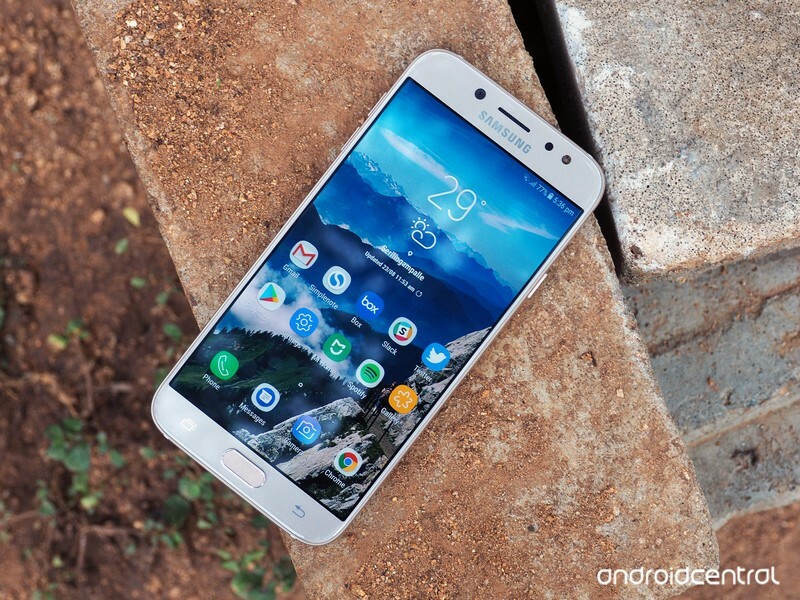 When it comes to Android updates, it goes without saying that Samsung’s one of the worst OEMs at getting new software rolled out to its gadgets in a timely manner. There’s no excuse for it, but it’s something we’ve come to expect at this point. While Samsung deserves credit as some of these devices shipped with Android Marshmallow and are now lined up for their second big OS upgrade, the fact that almost all of them are being pushed out to next year when Oreo is already a year old is ridiculous. However, that’s just the way the Samsung cookie crumbles. Is your phone on the above list? Your best friend deserves the best, and these gadgets will help you be the best. Dogs are wonderful companions, but they also require a lot of work. Besides obvious things like cleaning up messes, dogs also need to be groomed, well fed and above all, loved. Fortunately, there are plenty of tools available to make your pet parenthood easier. Here are five dog gadgets that are actually useful! A lot of dogs shed to keep cool, which means a house that easily gets covered in fur. If you have multiple dogs, you may need to vacuum a few times a week just to keep things under control. Dyson’s handheld vacuums aren’t the most powerful options out there — especially compared to a corded vacuum. But Dyson vacuums are amazing for how easy they are to maintain and how portable they are. There are more expensive models, but the V7 series is a great middle ground that offers a lower price than higher end models, but still enough battery life and attachments to get the job done. 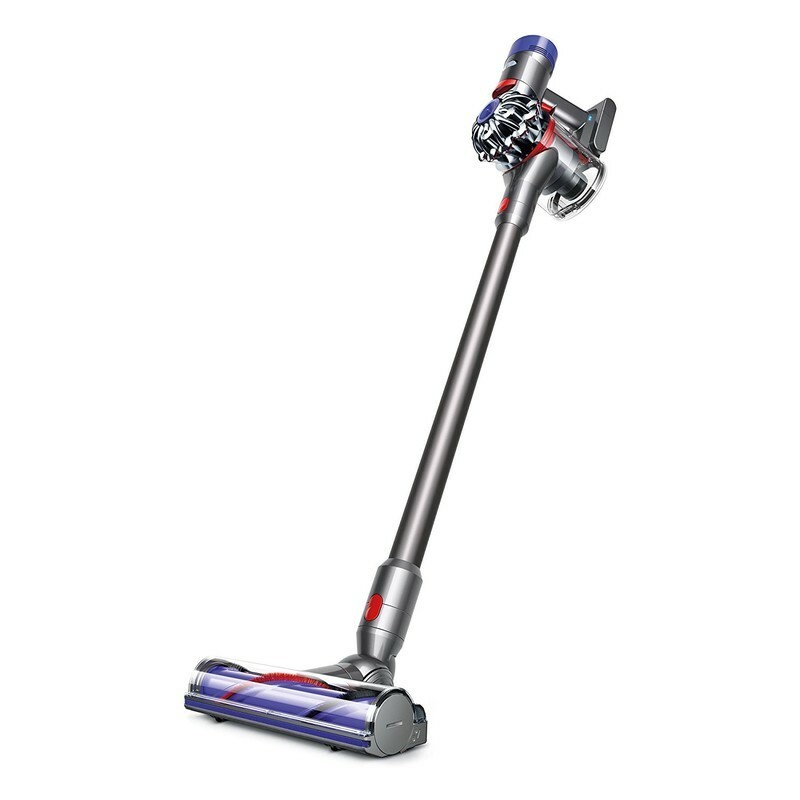 The V7 vacuums offer 30 minutes of run time, so you should be able to vacuum most of your house in one charge. 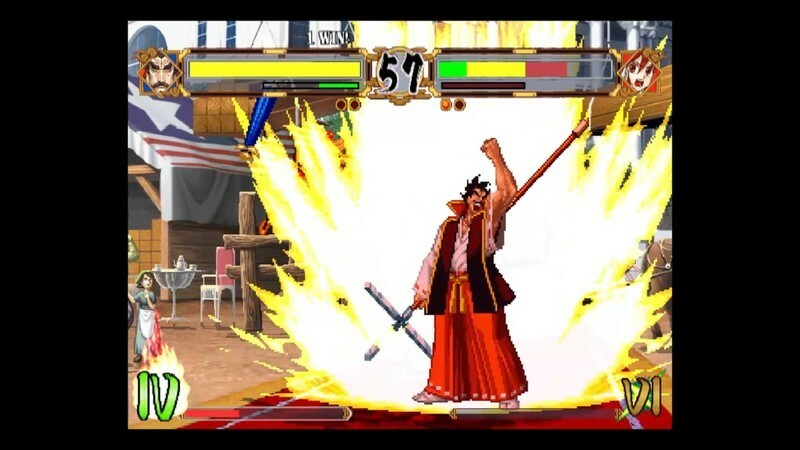 If you need more power, you can kick it in MAX mode for six minutes. The vacuum on all of the V7 models is the same, but the Animal model comes with specific attachments to help you get pet hair out of the carpet. The Dyson V7 Animal is available for $400, but we’ve seen it marked down as far as $314. Of course, the easiest way to keep dog hair from getting into your carpet is to brush your dog regularly. Unfortunately, most dogs don’t like the feeling of a prickly brush. But every dog loves when you pet them, and Grooming Gloves make it easy to brush your dog while petting them. The gloves aren’t nearly as unpleasant as a stiff brush, but there are plenty of soft grooves along the fingers of the glove to pick up loose hair. The hair comes right off of the glove too, so you don’t have to deal with some nasty adhesive. There are similar gloves for less money, but the HandsOn gloves are the highest rated right now on Amazon. The HandsOn Grooming Gloves are available in black and green in various sizes for $25. As someone who spent too many nights growing up chasing my overeager dog around my town after she ran out an open door, GPS trackers are a miracle. Of course, a tracker doesn’t do any good if you can’t actually follow it, so Whistle 3’s GPS tracker comes with LTE support in addition to the GPS chip. This does mean a recurring payment of $7 per month, but that’s a small price to pay to keep your best friend safe. The tracker has a battery life of seven days, so be sure to charge it every weekend. You can also set safe spaces within the app, which are based on trusted Wi-Fi networks. Finally, you get the ability to track your dogs activities to help keep them in shape. 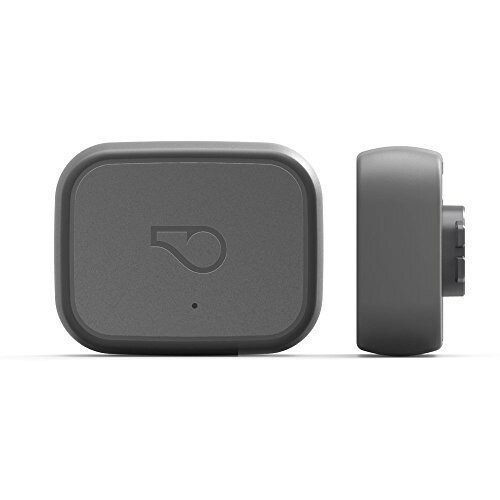 Whistle 3’s GPS tracker is available for $80. Some dog breeds — especially those that were bred to be guard dogs — get separation anxiety when they can’t see their owner. Other incidents like thunder and fireworks will make any dog panic, and it’s heartbreaking as an owner to not be able to communicate with and comfort the dog. Fortunately, there’s a tool to help. Calming vests — sometimes known as thunder shirts — do the same things for dogs that weighted blankets do for humans with anxiety. The effect on my dog was nearly instant: she went from barking nonstop when I left (as my neighbors kindly told me) to only barking for a minute or so. She also destroyed much less of my apartment with the comfort vest on. 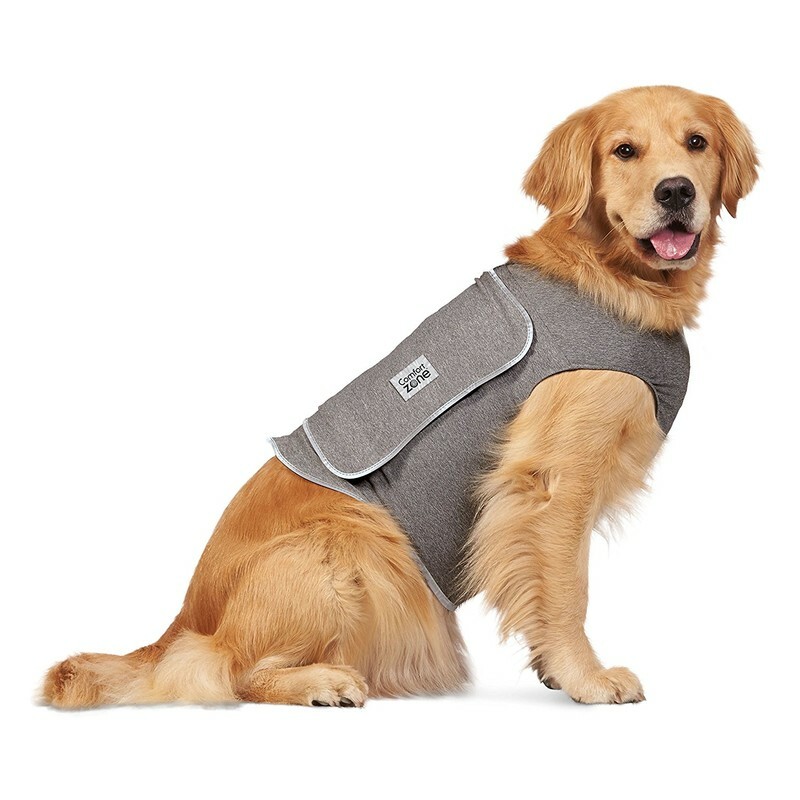 If you have an anxious dog, a comfort vest may be the best gift you can give them. Comfort Zone’s Calming Vest is available in various sizes between $32 and $42. 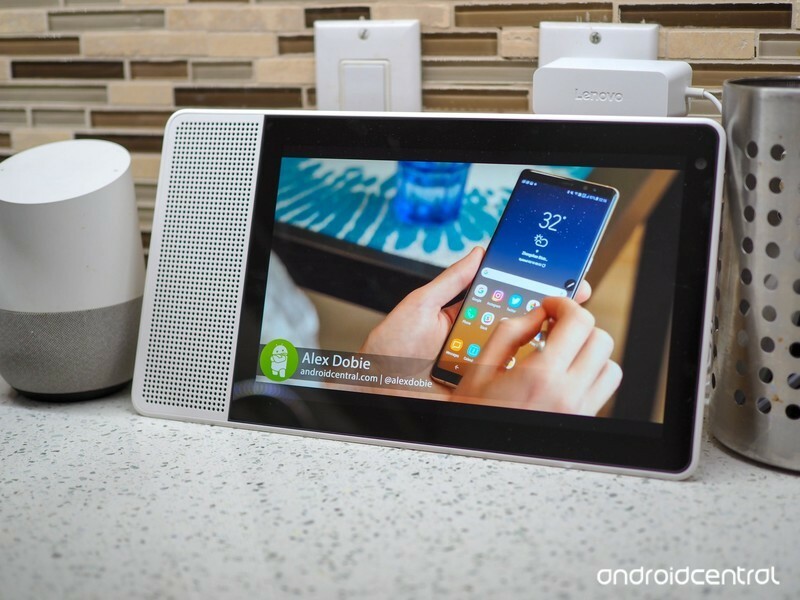 There are plenty of cheaper video camera systems for your dog, but the Lenovo Smart Display lets you do other things like watch YouTube videos or follow along with food recipes. Not something that your dog will care about, but it makes a Smart Display a better choice for you. There’s also the fact that you can video chat with your best friend from any iOS or Android device with Google Duo. 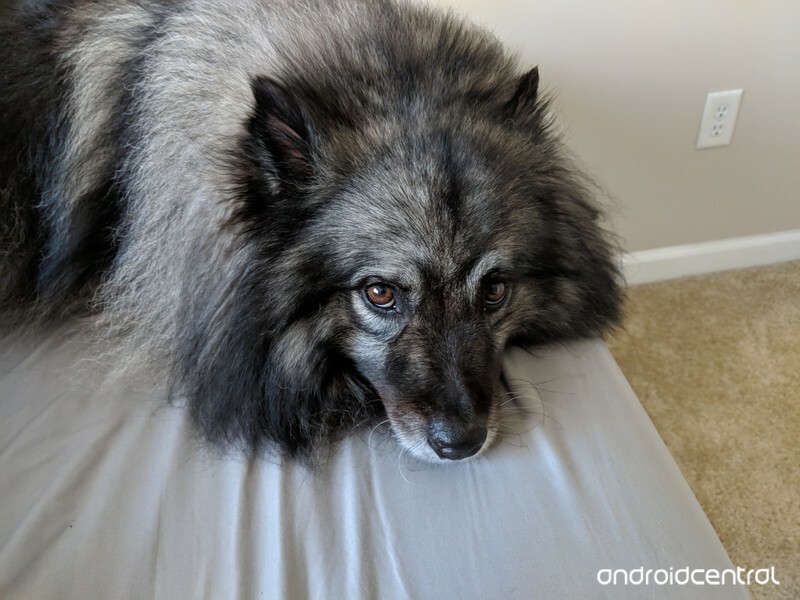 A home security system will be a better way to watch your dog through your whole house, but the Smart Display is a great, inexpensive option if you keep your dog in a single room during the day. Lenovo’s Smart Display is available for $250. 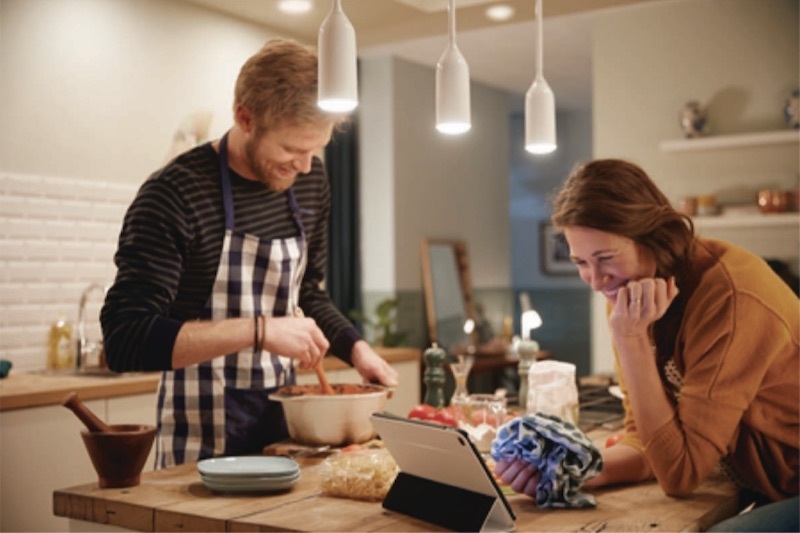 What gadgets do you use to keep your best friend safe and entertained? Let us know down below! 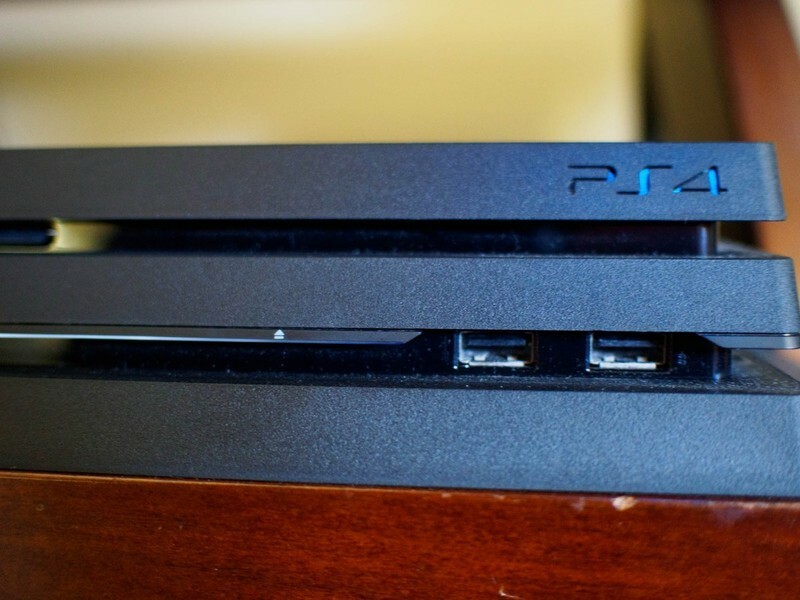 There were loads of amazing games that came out with the PlayStation 2, but after the PlayStation 3 and the PlayStation 4 came out, not many of those games were able to be played on those consoles. 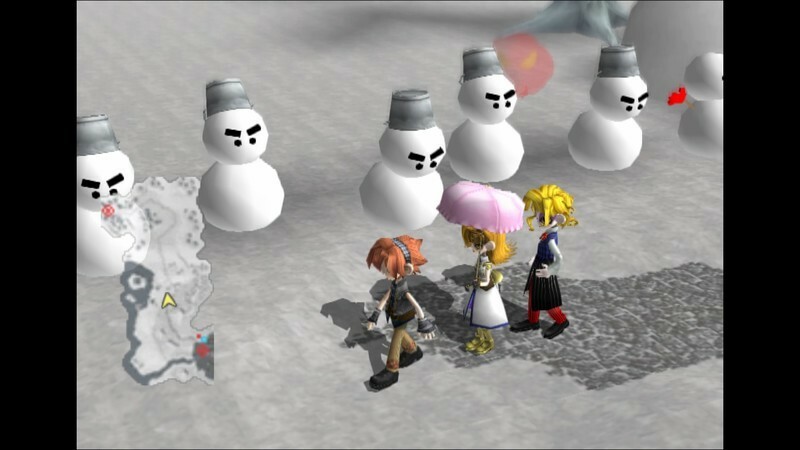 Sometimes you need some nostalgia in your life, if only to play all of the previous Kingdom Hearts games before the new one is released later this year. 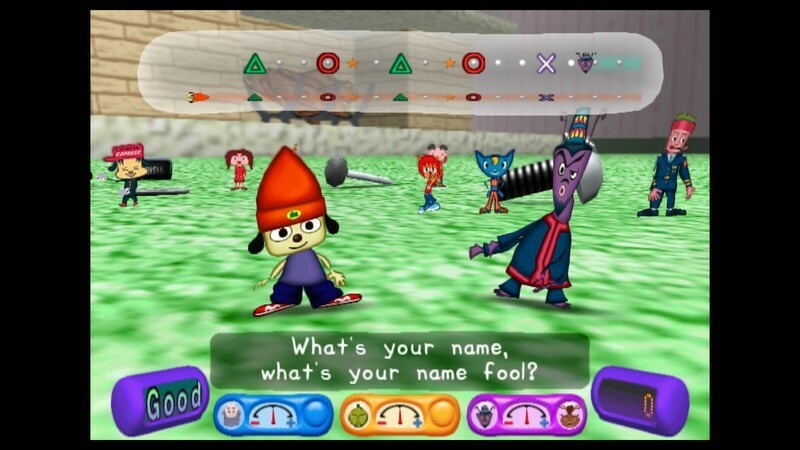 Now, you have access to loads of PlayStation 2 games that you can play on your PS4. 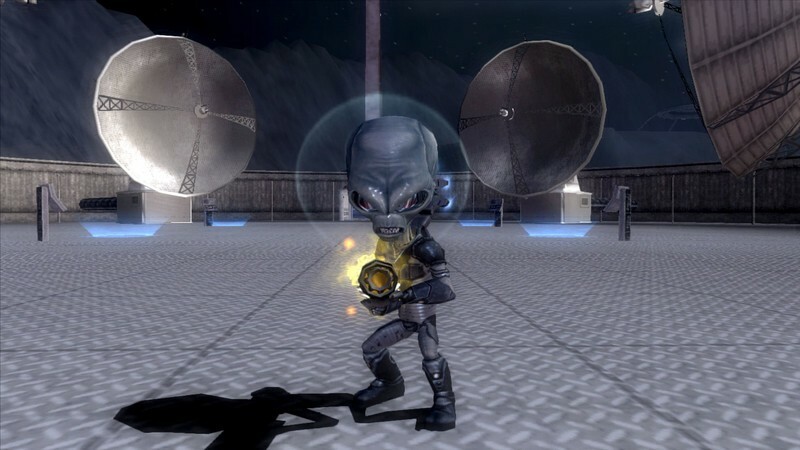 With games like Destroy All Humans! and Star Wars: Bounty Hunter, you can grab all of these classics for your console. 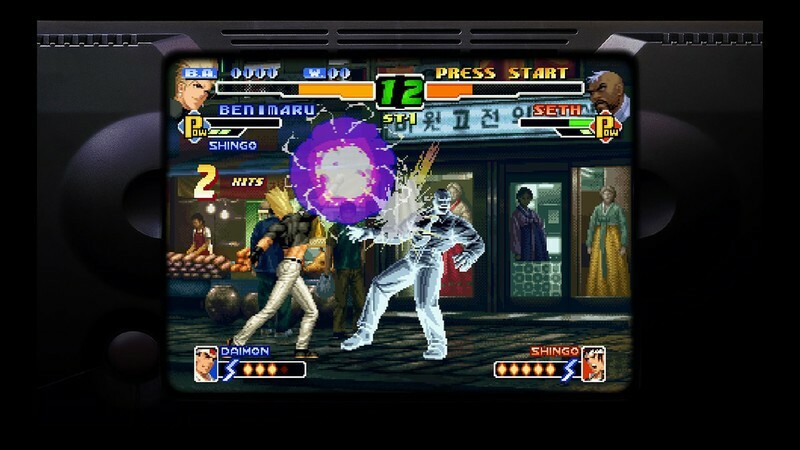 Head to the arcade with this classic game that came from PlayStation 2, taking it back to the side scrolling days of fighting. 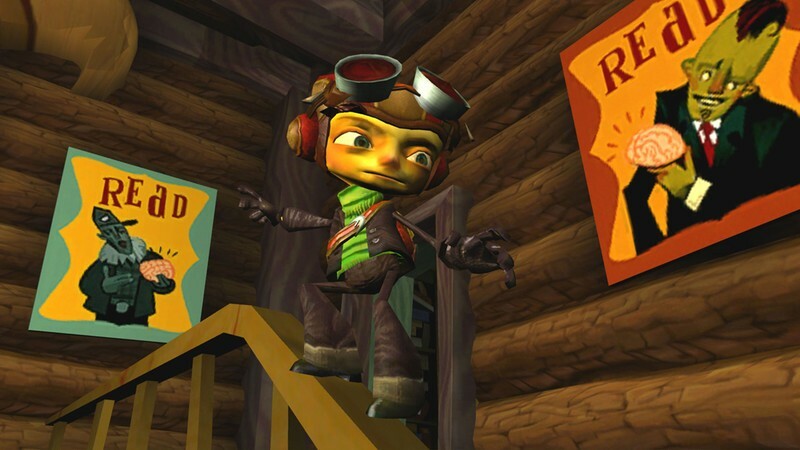 Become Hikaru, a primate who has a few gadgets up his sleeve, and take on other monkeys as you make your way throughout the world. 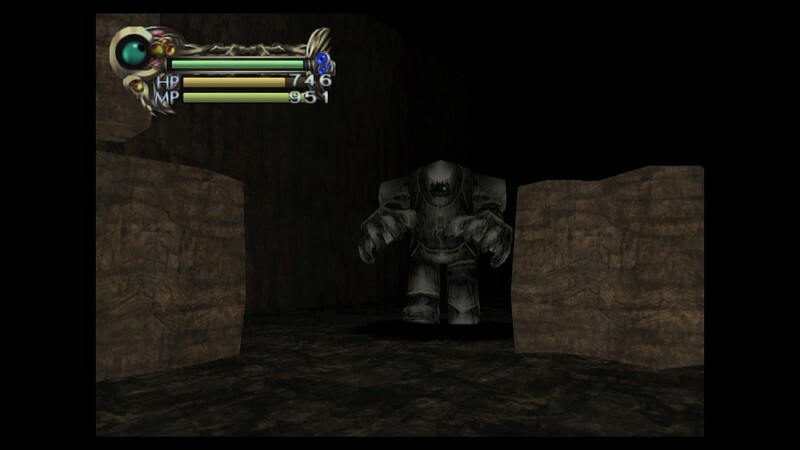 Humans and the Deimos have been at war for years over the Great Spirit Stones, and this game is all about how you unfold the story of this war. 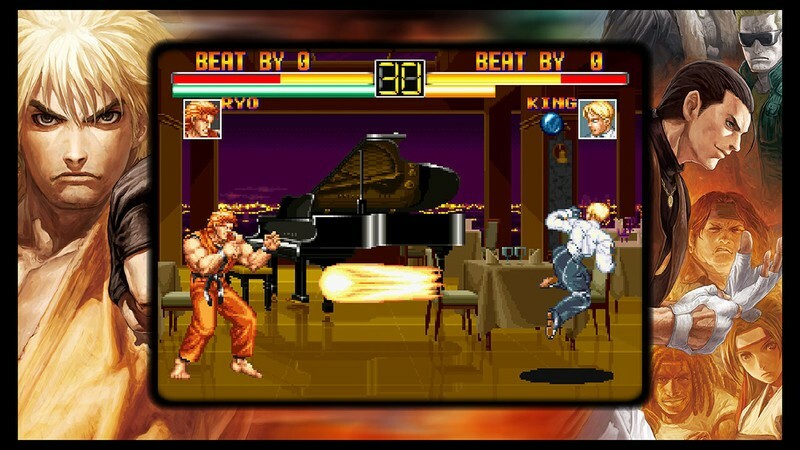 Here’s another great fighting game that will take you back to the arcade days once again, with the classic side-scroller style. Become a schoolboy who takes on his bullies and his entire school, and see if you win the girl or if you end up in the principal’s office. 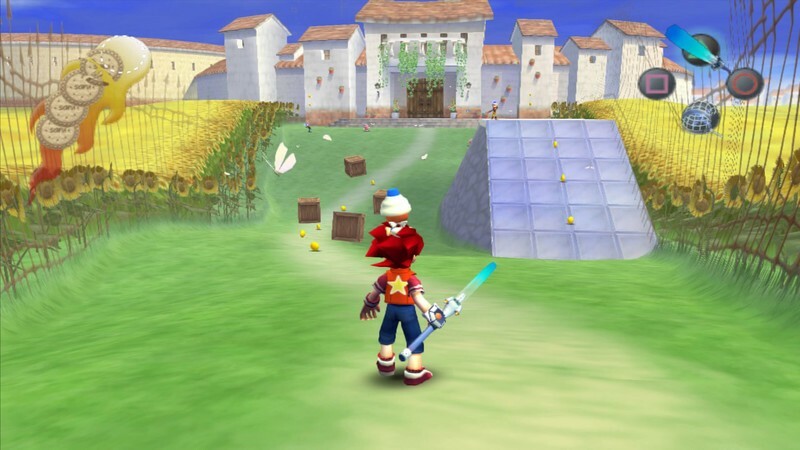 Two completely different worlds unknowingly collide in this game, one rampant with technology while the other is centered around nature, as they have to take on this evil force coming for them. Present and future collide in a new tale that sees our heroes team up to save the world from complete destruction. The title describes the entire game. You’re an alien who wants to destroy the human race and become the master race of all of the earth. 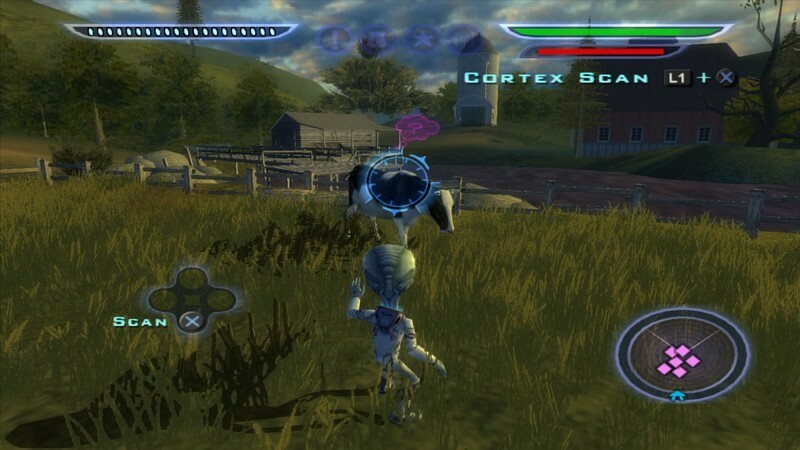 This is the sequel to the first Destroy All Humans!, and the premise of the game is exactly the same as you kill all of humanity…again. 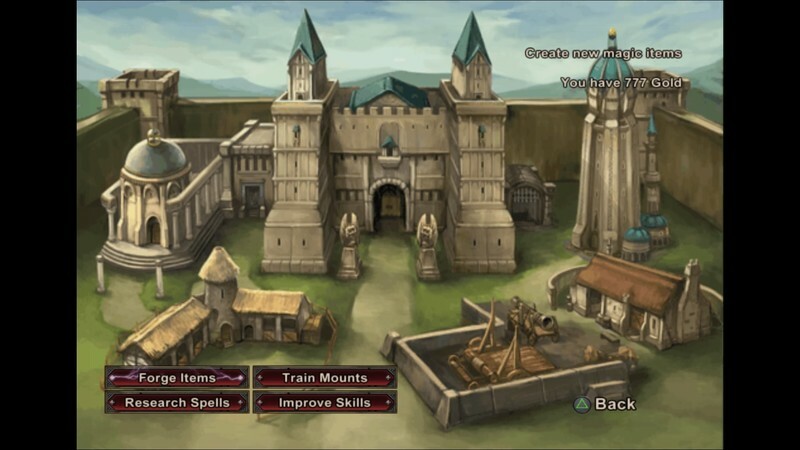 This game is all about the kingdom of Heingaria as it falls into turmoil due to the elders and the king try to take over the whole kingdom. 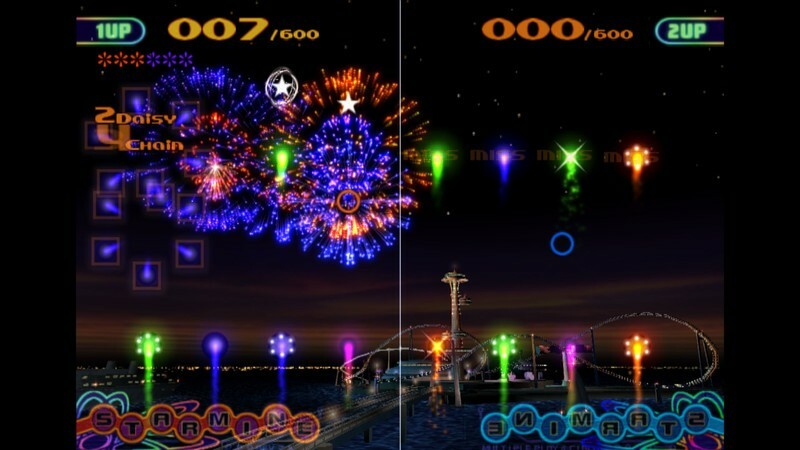 This game is all about pyrotechnics and how to make all the fireworks go off with certain buttons throughout this game. 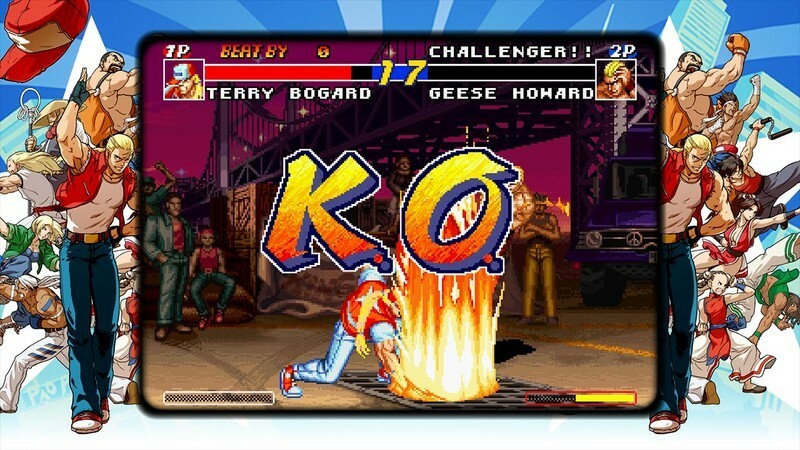 This is another game that will take you back to the arcade days of video games with a great side-scroller fighting style. 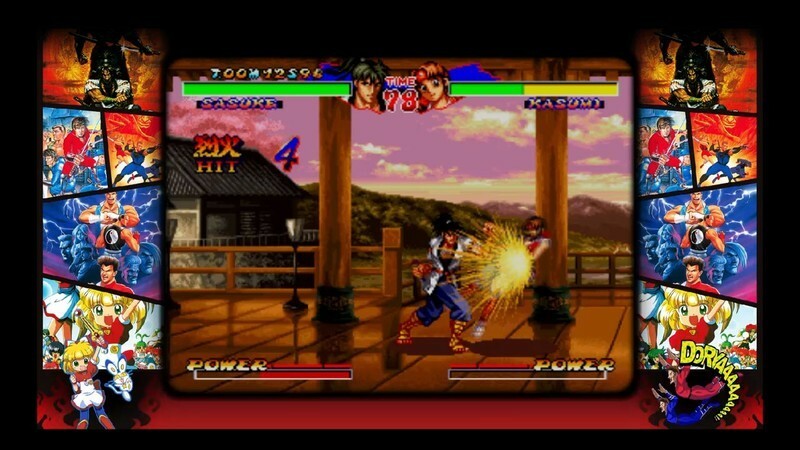 Play a couple of classic fighting games that utilize weapons and tag-team mechanics for a whole load of fun. A game that needs little introduction, but I’ll give it one anyway. 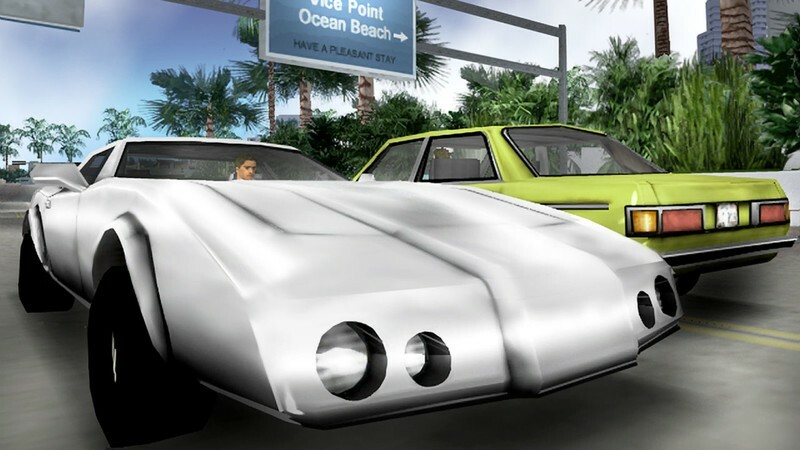 Hop onto the streets of Liberty City as you navigate its criminal underworld. 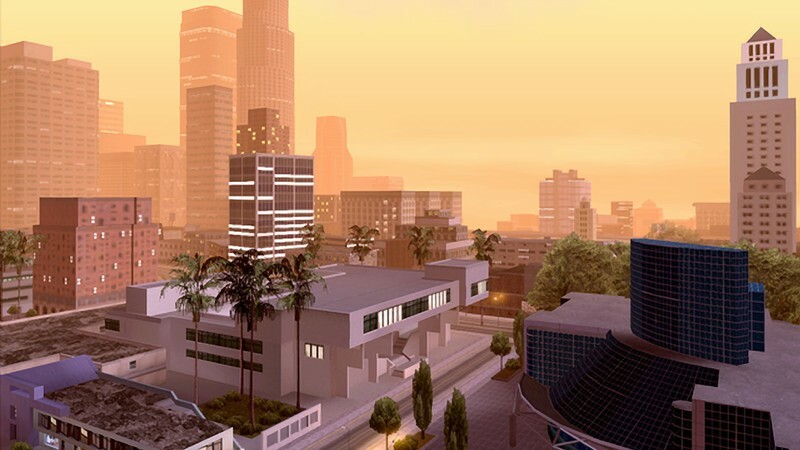 Head to the city of San Andreas in this version of the Grand Theft Auto series, which is an open world game where you can do just about anything. 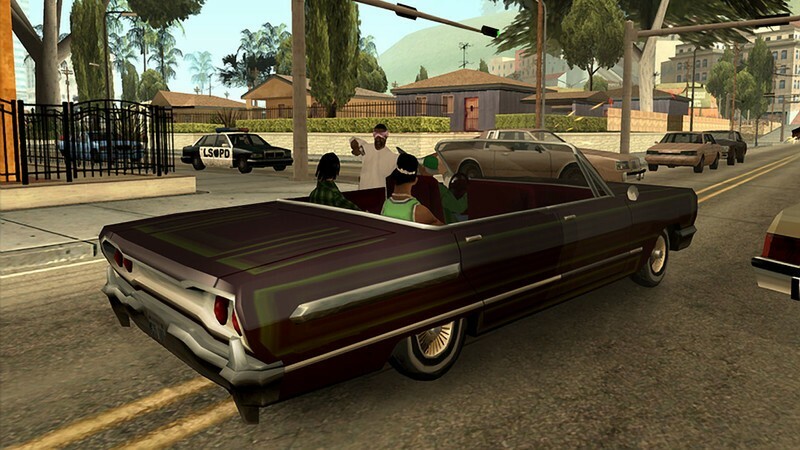 This bundle compiles Grand Theft Auto III, Grand Theft Auto: Vice City and Grand Theft Auto: San Andreas. 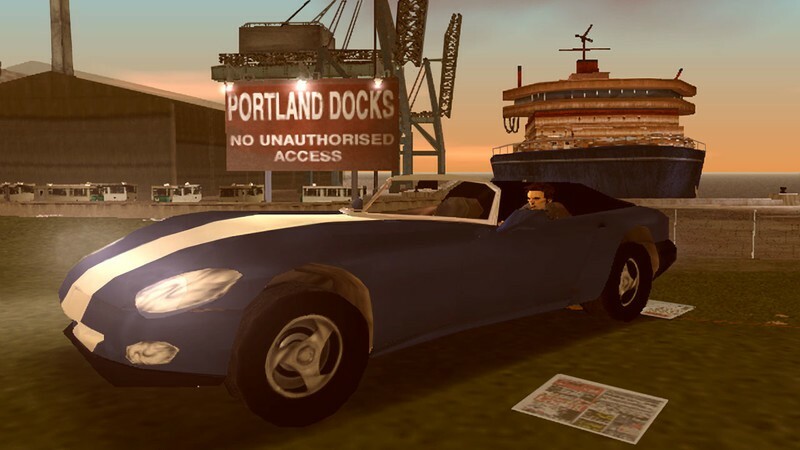 Another game in the Grand Theft Auto series that takes place in a different city, an open world as well with many different activities you can do along with the adjectives. 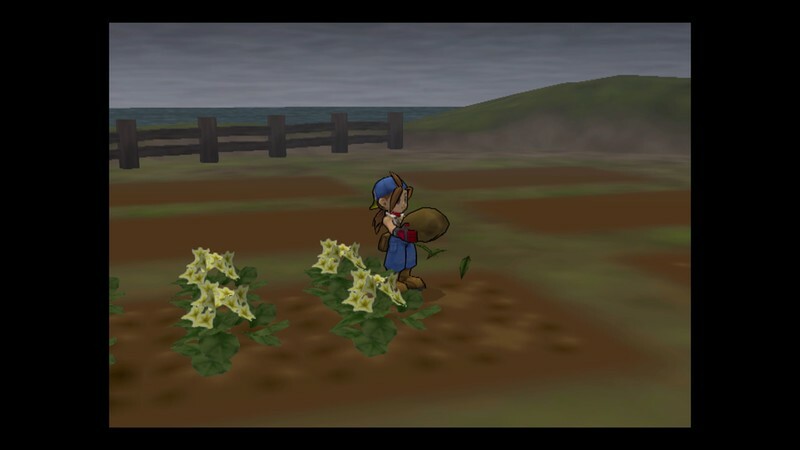 Plant crops, raise a child, and raise up animals in this game as you try to teach your kids to take over the family farm. 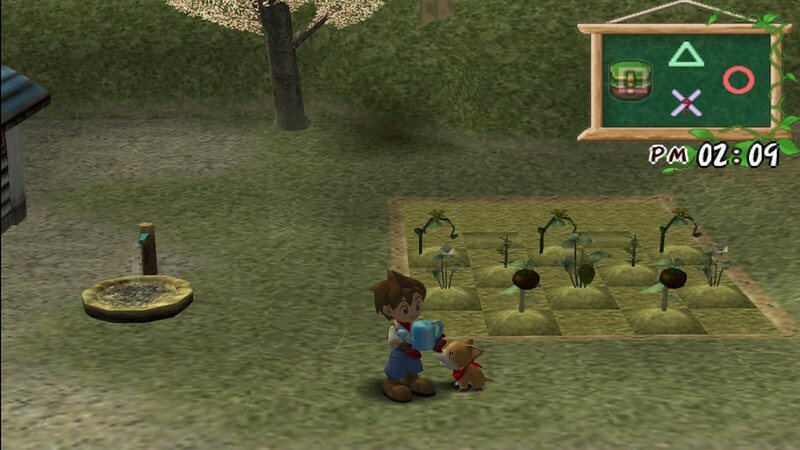 Save your village and your family farm in this game as you try to prevent a resort from coming in on your land. 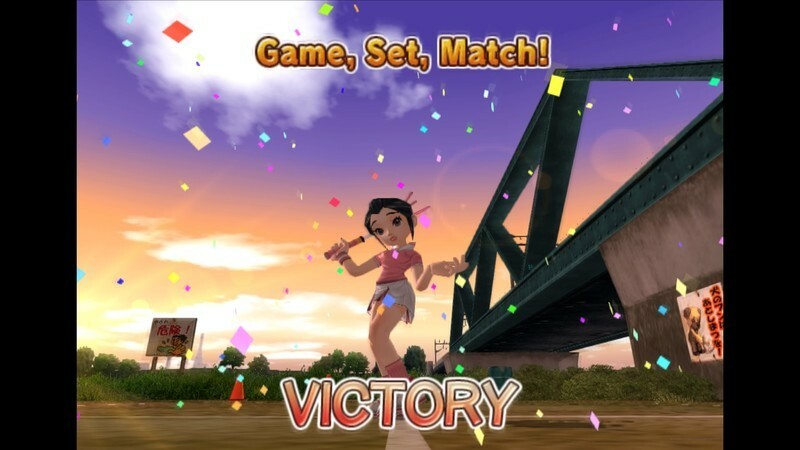 Hot Shots Tennis is the family-friendly game for everyone, letting you live out your dreams as a tennis superstar. Quantic Dream’s paranormal thriller Indigo Prophecy tasks players with uncovering the mystery behind a gruesome string of murders. 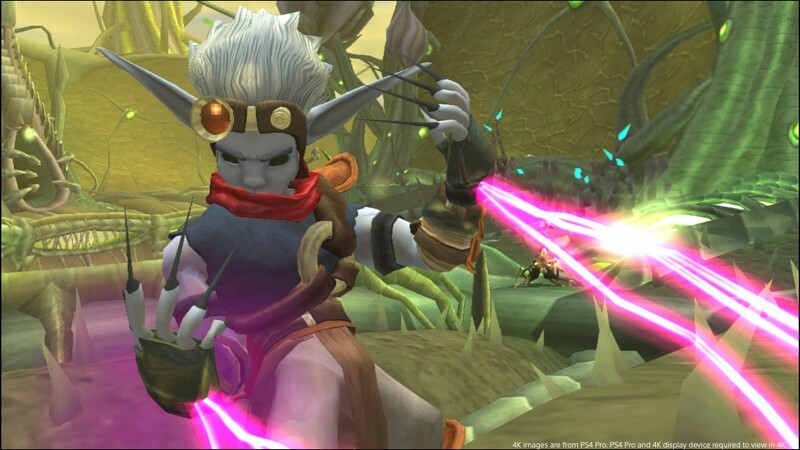 Jak and Daxter are back for their next adventure, giving us an arsenal of new weapons and powers to play with. 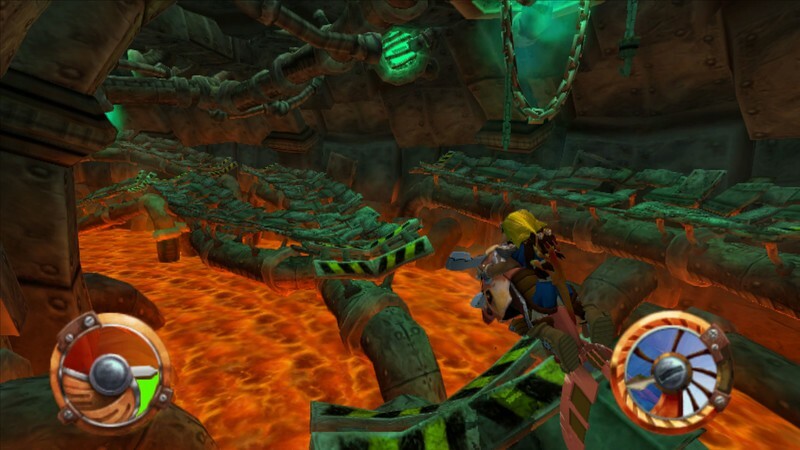 Follow Jak and Daxter once more through a desolate wasteland as they struggle to survive and hopefully save the world. 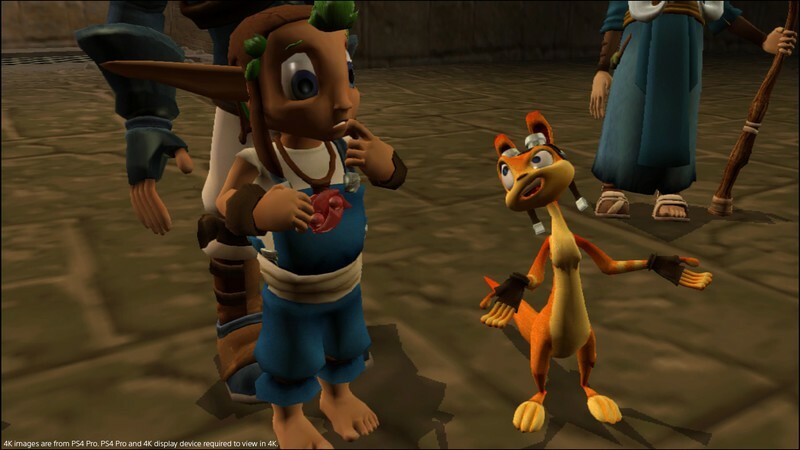 Our lovable heroes embark on a new journey to reverse Daxter’s transformation after becoming an ottsel. 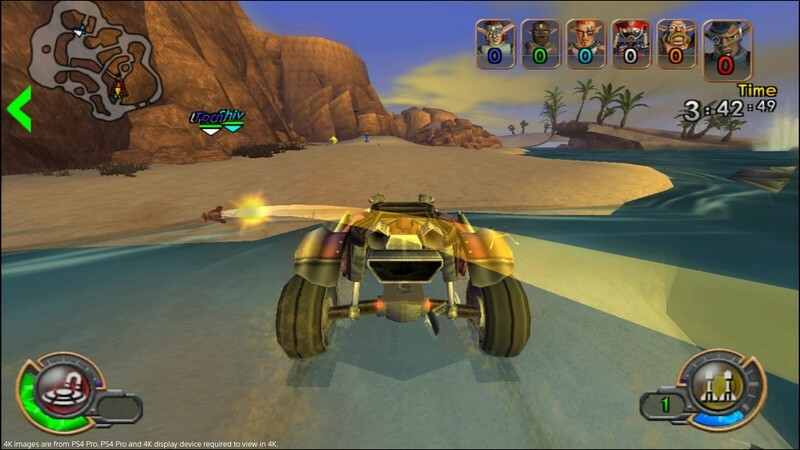 If their usual adventures weren’t enough for you, take Jak and Daxter out onto the streets in this racer. 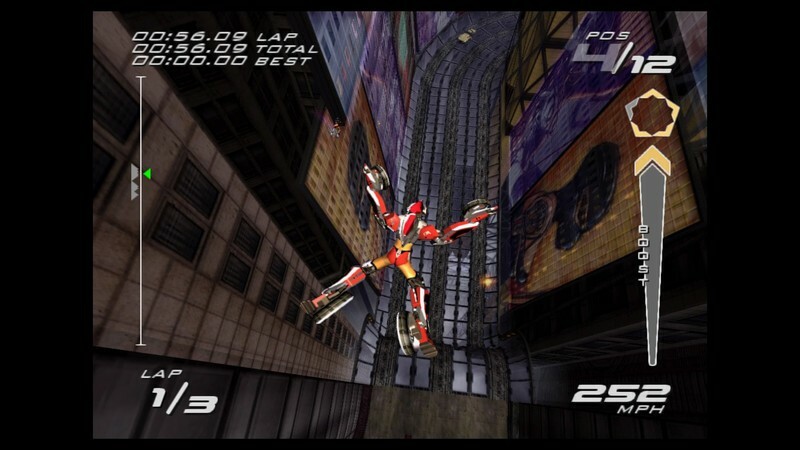 Put on the Kinetic suit and be able to scale walls, do crazy stunts, and go faster than you ever have in Kinetica. 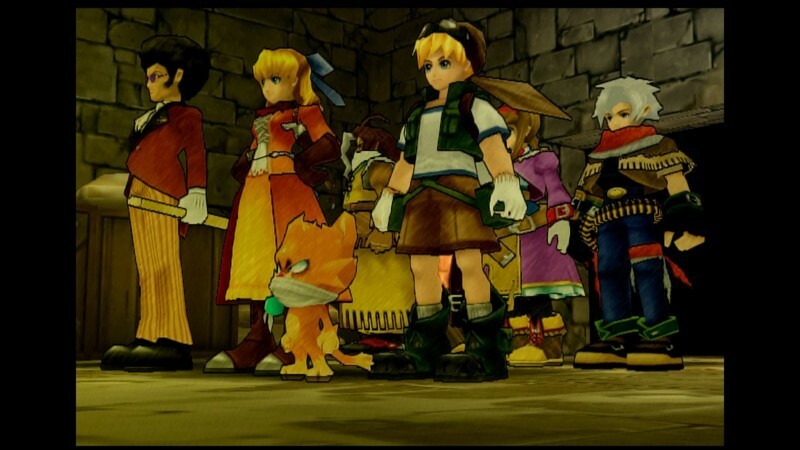 Play as 64 different characters throughout this game, whether you play it in the 2D setting or in the 3D setting, in the classic side-scrolling style. 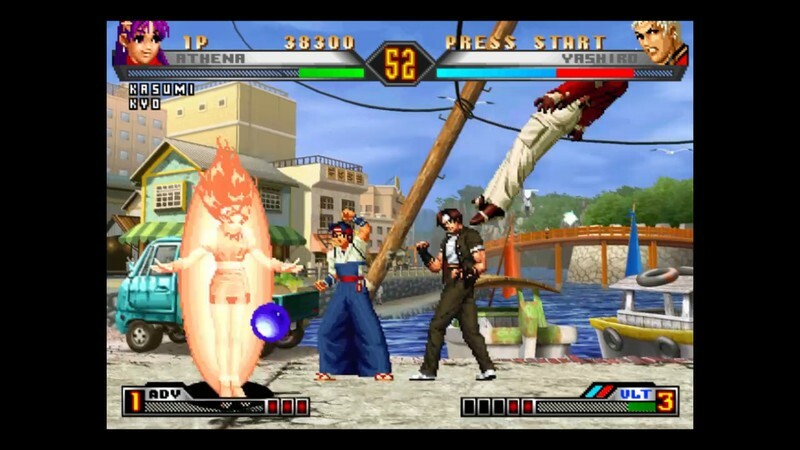 This is another side-scroller fighting game that’s based off the other King of Fighters games, full of wonderful pixel art. 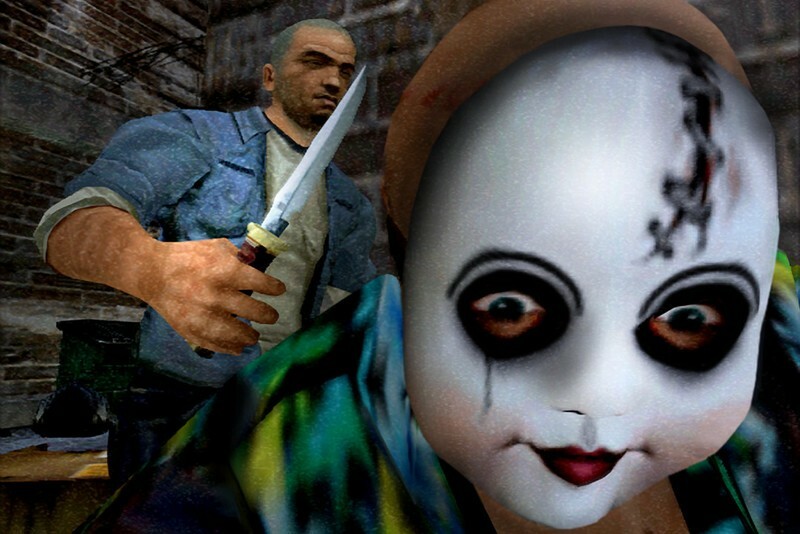 Manhunt is a game where you have just been brought to life, and it’s now your mission to find the people who took that life away from you. Become the hero Rau who tries to uncover his families darkest secret in order to save his people from the evil that has crossed into his home. 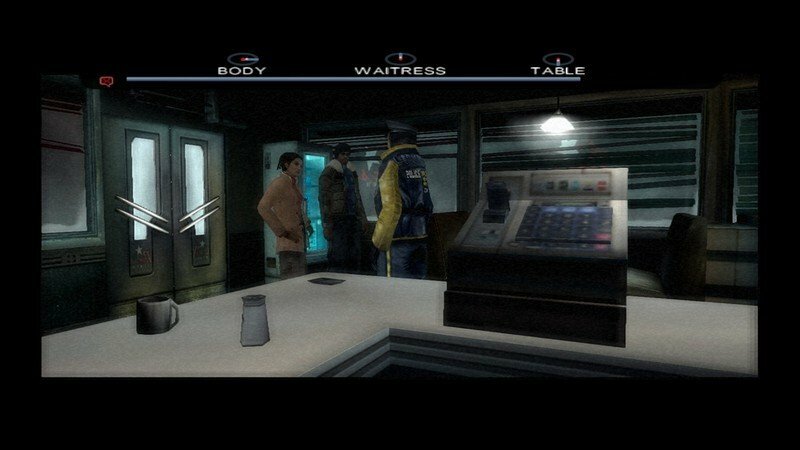 Watch your back as you try to find the person who framed you as a murderer without being killed by the cops or the mob themselves. 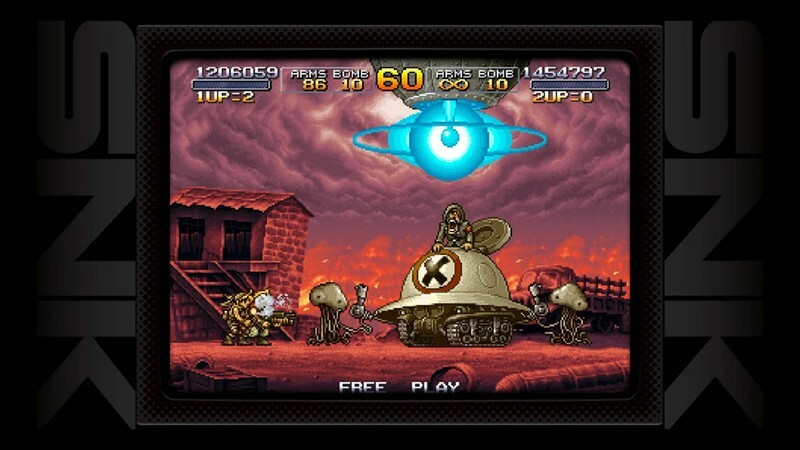 This military-style game is a wonderful side-scrolling shooter that has you take control of different armored vehicles in order to take down your enemies. 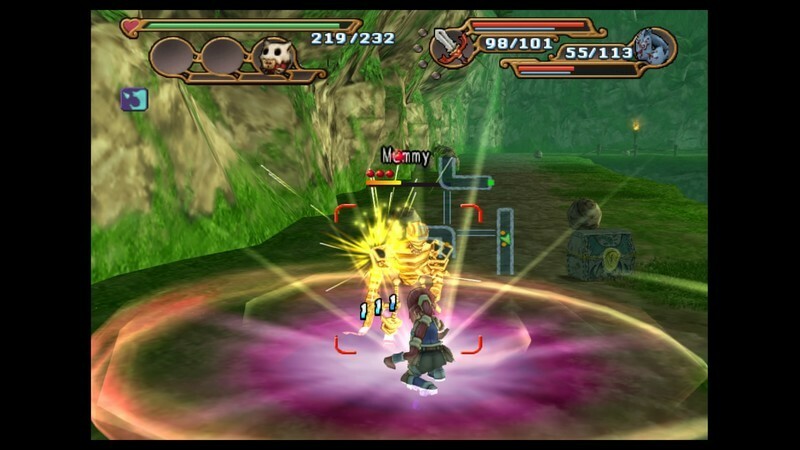 Help Ari and her friends become released from the grips of the Evil King’s spirit in order to let your village no longer be kept captive. Stick with the beat as the best rapping puppy throws down some rhythms for you to keep up with. Try to find all of your fellow campers after you realize that a mysterious villain has taken all of them. This is a great puzzle game where you have to match up multiple tiles of the same color in order to solve each puzzle level. 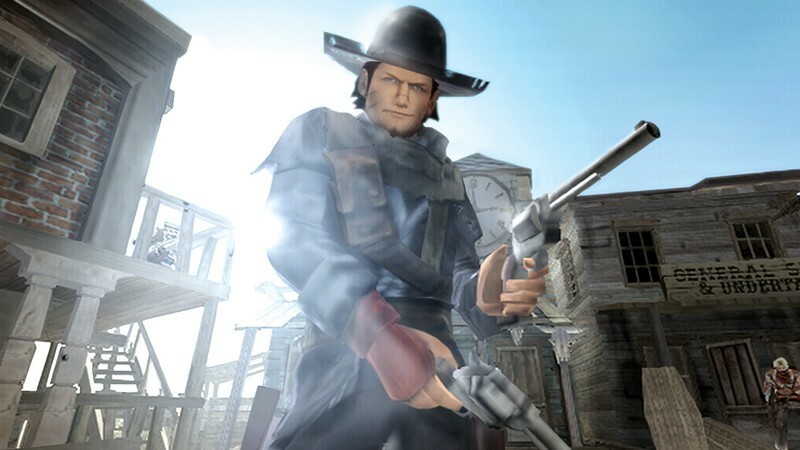 Become a lawless bounty hunter who’s looking to find the people that killed his entire family so that he can seek revenge. 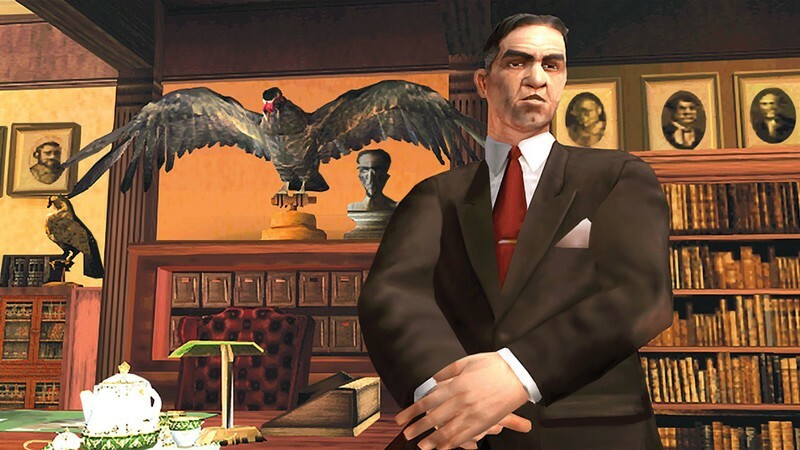 Take down the Ultor Corporation and start the revolution in order to get things to the way they’re supposed to be. After the rebellion, a strict dictator is taking over, but you have to do everything in order to make sure he is no longer in power. 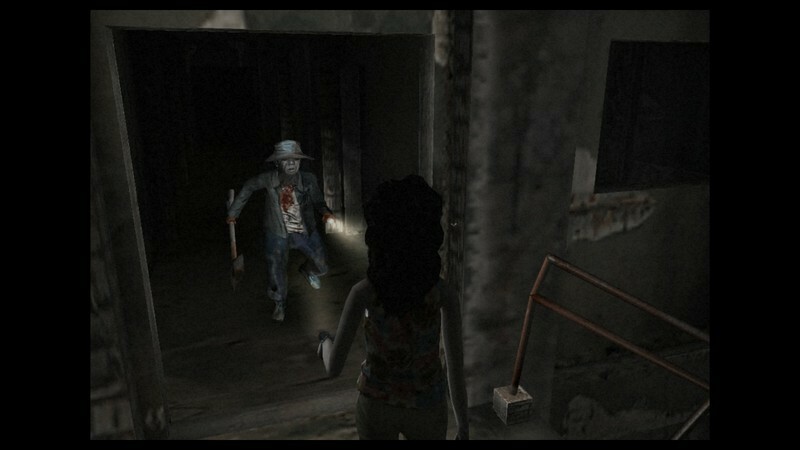 Scrounge around for weapons and ammo in this abandoned building as you try to fight and survive your way through zombies and different kinds of monsters. 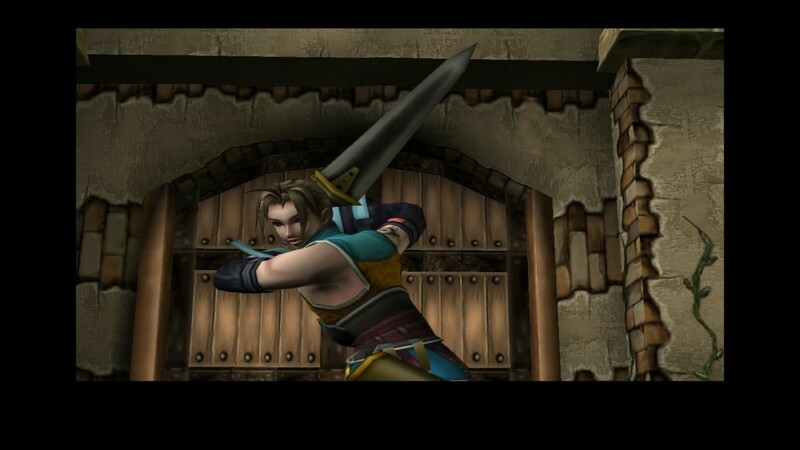 Protect the dark magic of Kri with all four of the characters who each have unique weapons that will help you in your journey. Fulfill your dream of becoming a space pirate and find the hidden glories and treasures that await you in your journey. 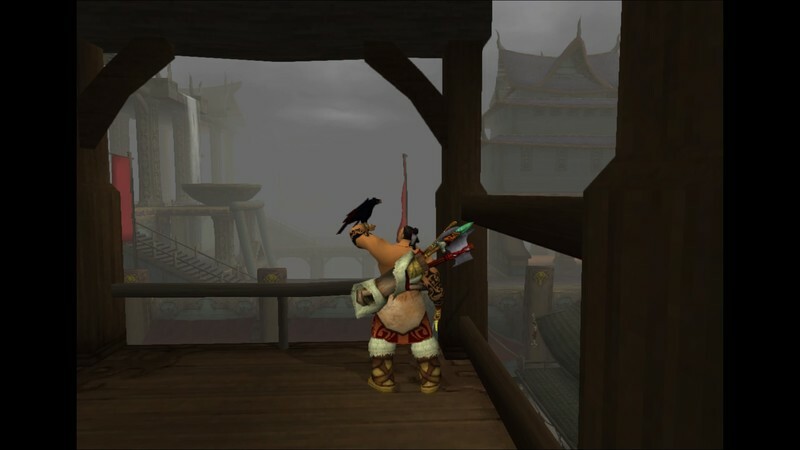 With the Sunpu tournament starting, you’ll have to fight other warriors in order to win the entire tournament. 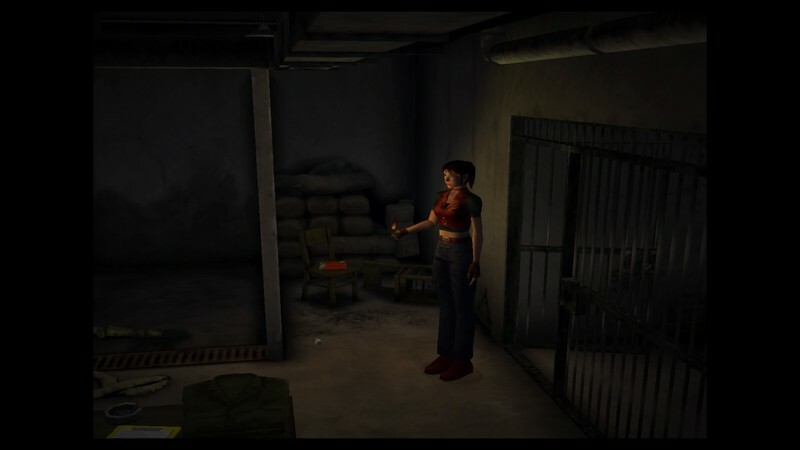 This survival horror tells the story of a Japanese town plagued by undead corpses after a ritual goes awry. 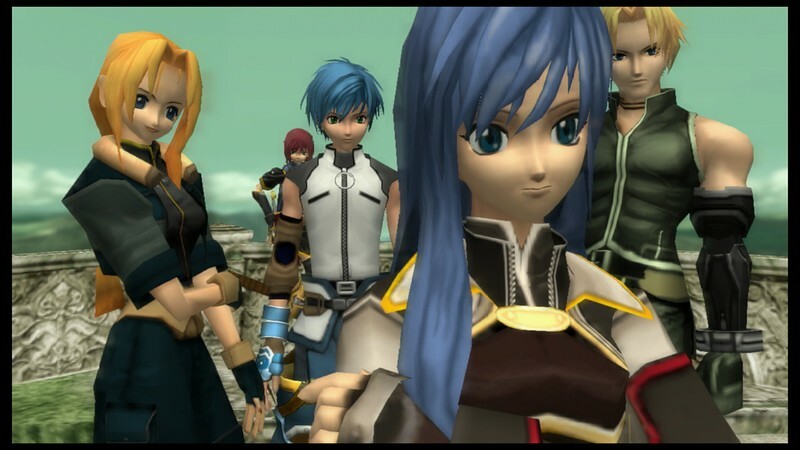 Star Ocean is a great RPG fighter that has been optimized for the PlayStation 4 for the best experience. 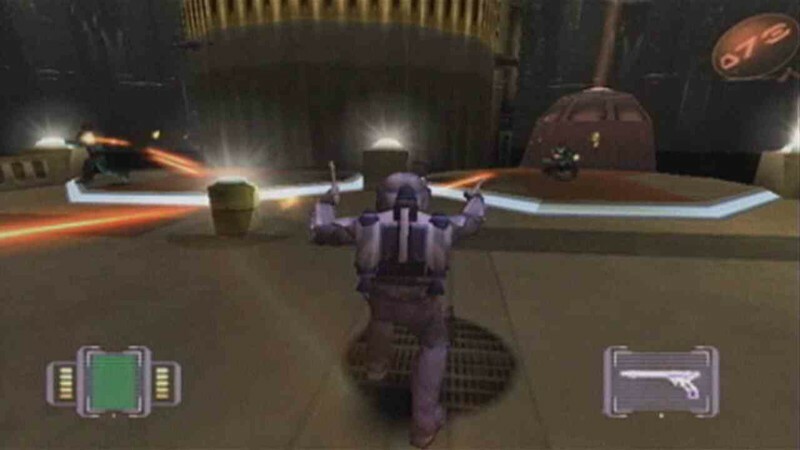 Play as Jango Fett who has to fulfill a bounty that is set on a deranged Dark Jedi while fighting off the rest of the scum attacking himm on the way. 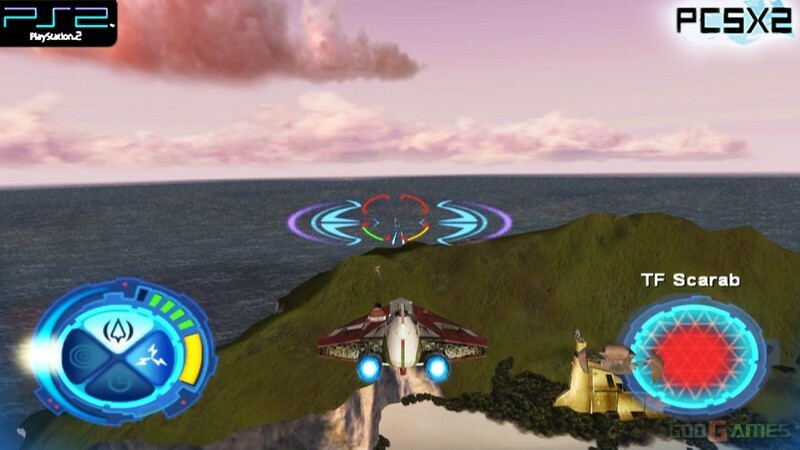 Fly throughout the galaxy as you fight on the side of the rebellion in your ship in order to stop the Empire. 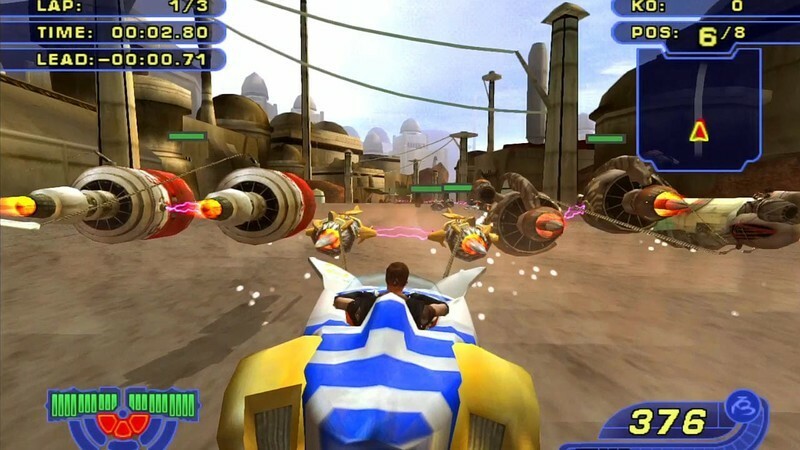 Become the best podracer you can by beating the other 18 opponents in every race you compete in. 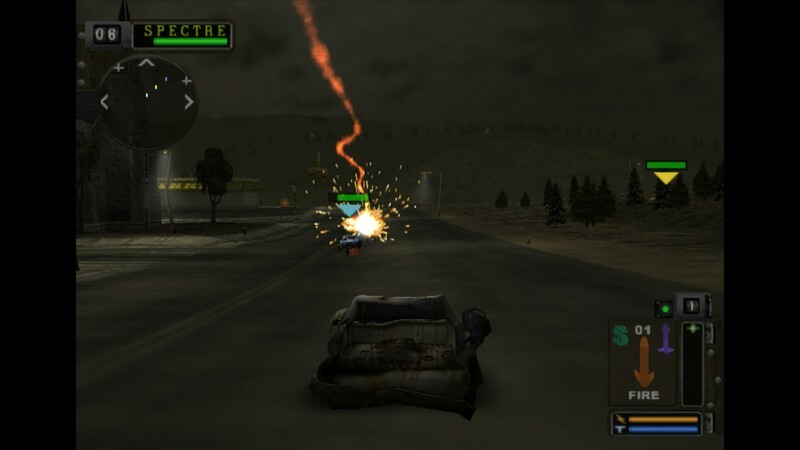 This is a car combat game where you do everything you can in order to take down the other cars you’re combating. 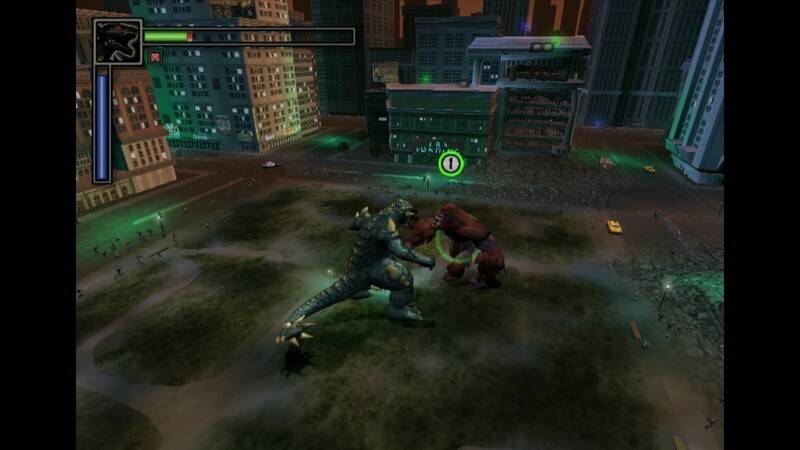 Fight the monsters that have started to plague the world so that humankind can live in peace once again. 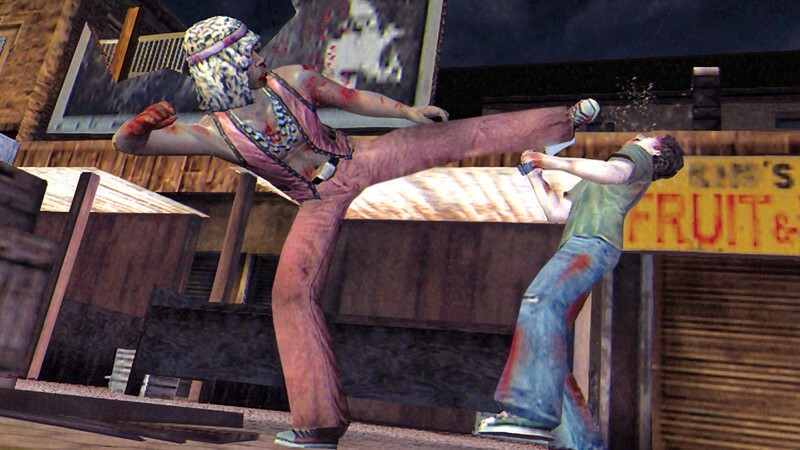 Take the Warriors through New York without losing anyone to other gangs or the police in order to escape the city. See what’s outside of the town’s boundaries to see what roams outside the unknown. 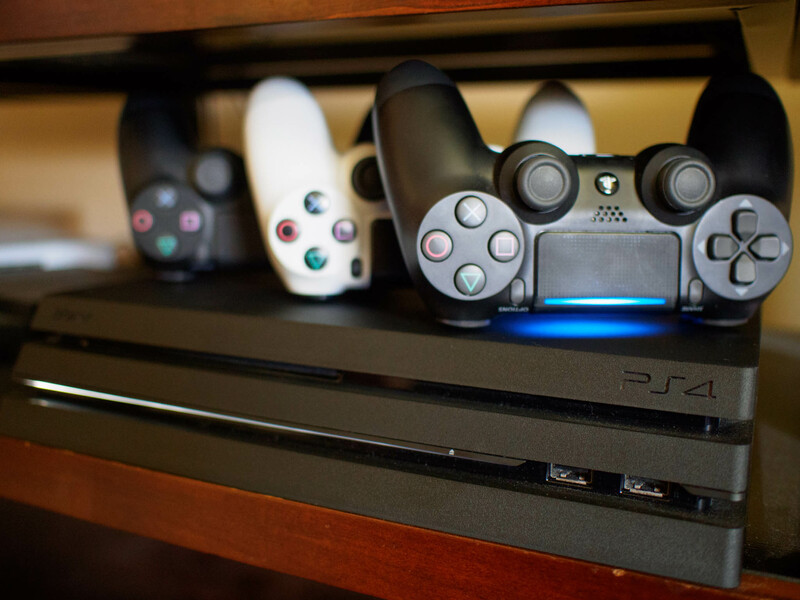 What game are you most excited to grab for your PlayStation 4? 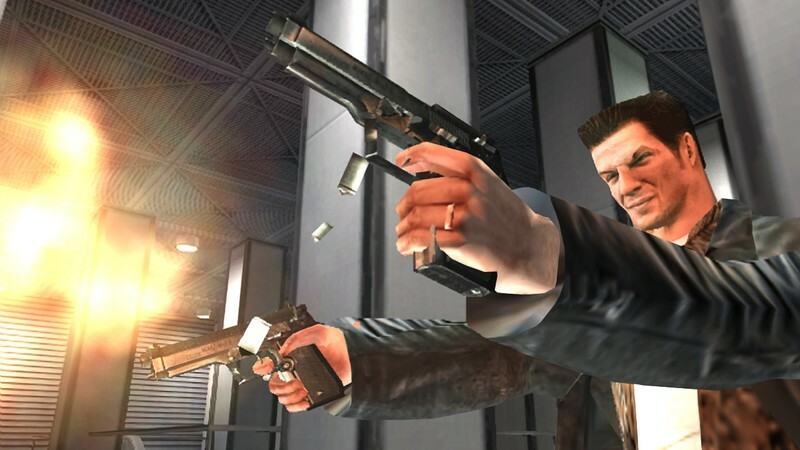 Let us know which game from the PlayStation 2 days that you can’t wait to play again. 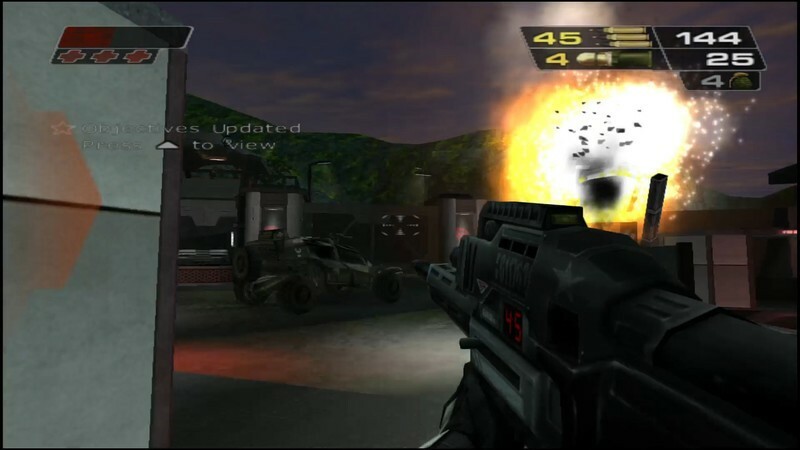 Updated August 2018: Added nearly a dozen more PS2 games available on PS4. Is this where we’ll finally learn more about T-Mobile’s TV streaming service? T-Mobile’s known for shaking up the wireless industry at least once a year, and on Wednesday, August 15, we’ll learn about the company’s latest plans for doing that once again. 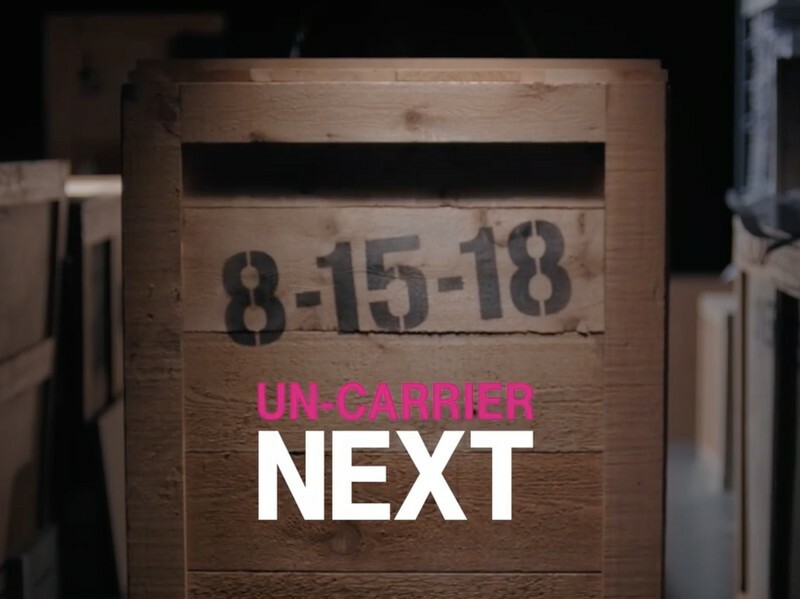 The latest Un-Carrier Next event is currently titled as “Hold the Phone!” and will be livestreamed next Wednesday at 11:00 ET / 8:00 PT on T-Mobile’s website. T-Mobile’s promo video shows CEO John Legere locking up a box with “Decommissioned” labeled on the side as he walks it through a collection of other boxes that are titled as “Pain points”, “Data limits”, “Overages”, etc. T-Mobile’s take on TV is scheduled to launch at some point this year. So yeah, the typical T-Mobile hype train. While the video doesn’t offer any hints as to what the Un-Carrier event will be centered around, the first thing that comes to mind is T-Mobile’s internet-based TV streaming service. This was first announced last December when T-Mobile acquired Layer3 TV, and the last we heard of it was in January when Layer3’s employees had officially started working under T-Mobile’s umbrella. T-Mobile previously mentioned that its service would be ready to launch in 2018, and seeing as how we’re more than halfway through the year, now seems like the perfect time to finally get things rolling. What are you hoping to see at next week’s Un-Carrier Next? 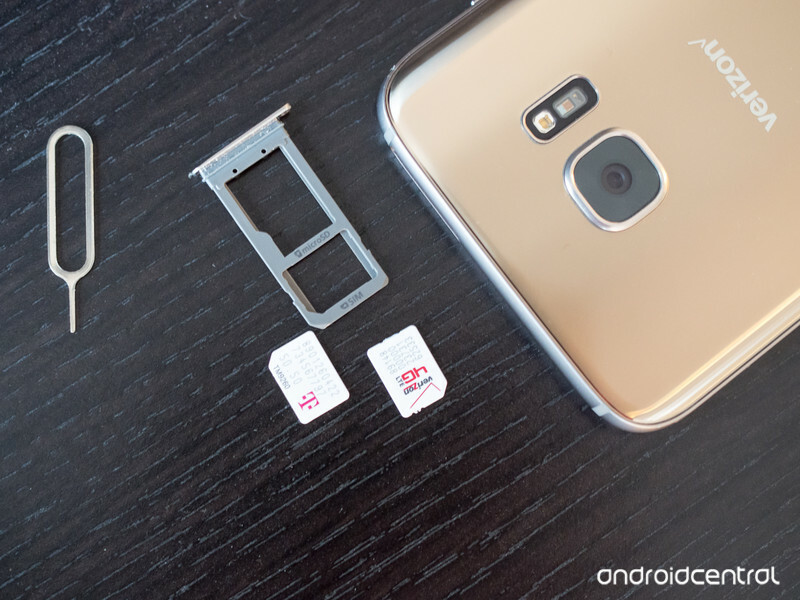 Which unlimited plan should you buy?